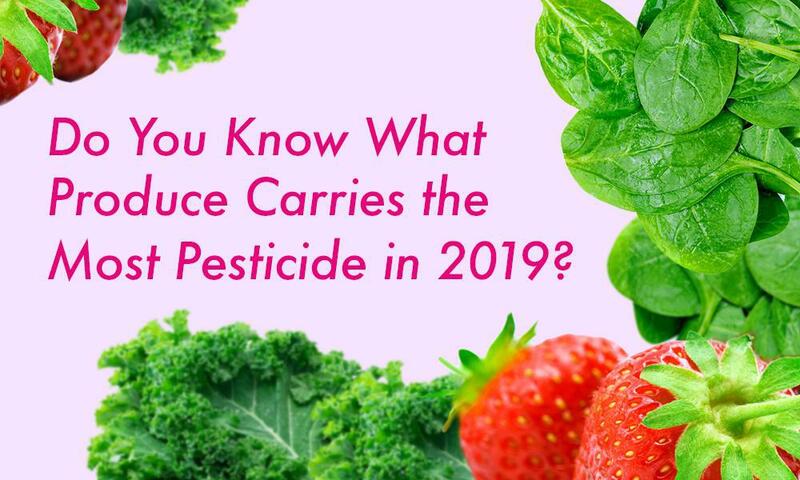 Want to know what produce has made the top 12 in containing the most pesticides? Kale at #3 will shock you! Check it out! 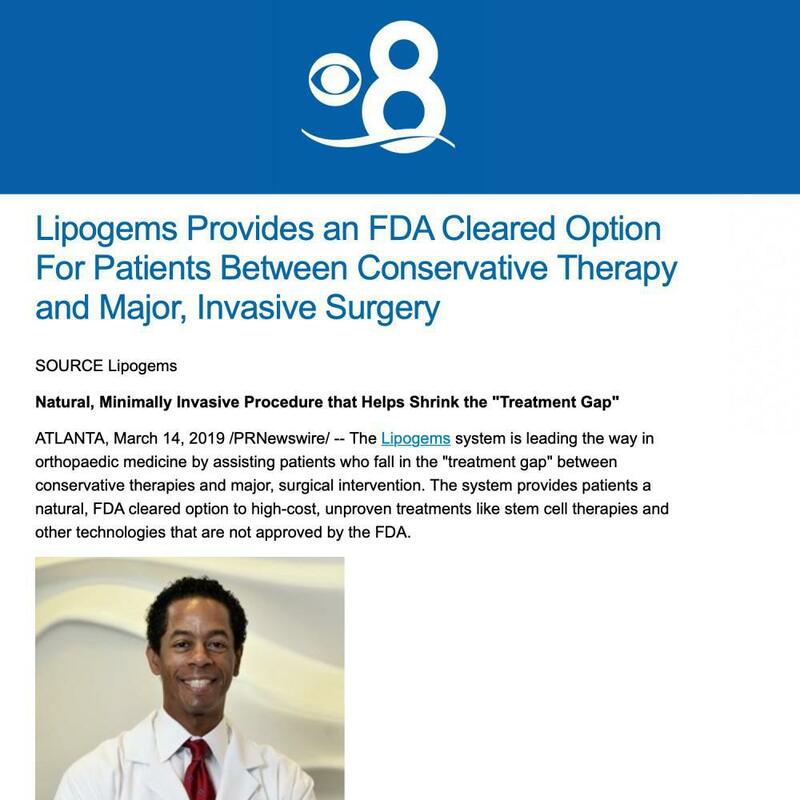 CBS8 news coverage on Lipogems! 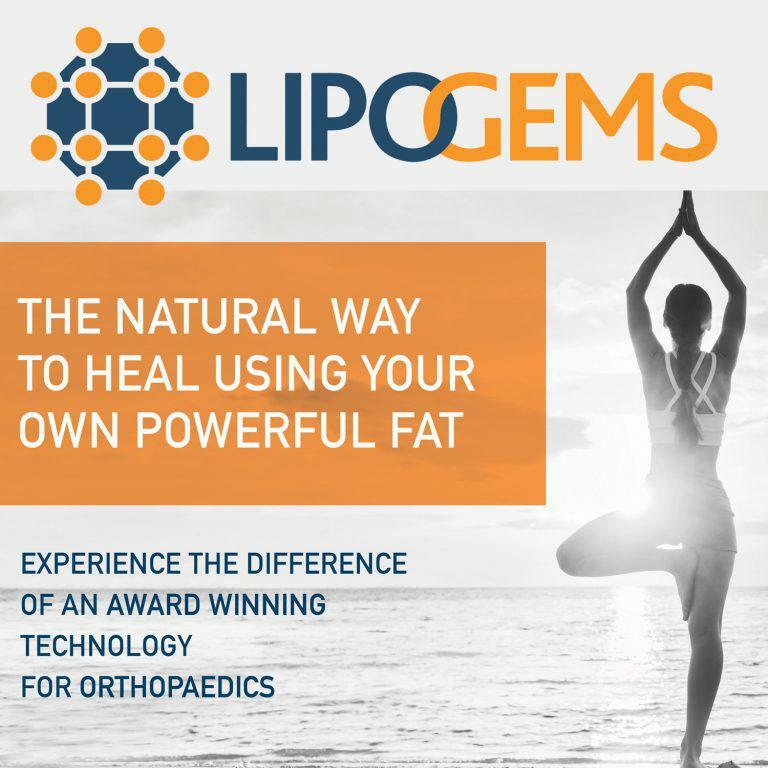 Our physicians continue to treat their patients with great results using Lipogems on their chronic orthopedic issues. Call our office to schedule an appointment. 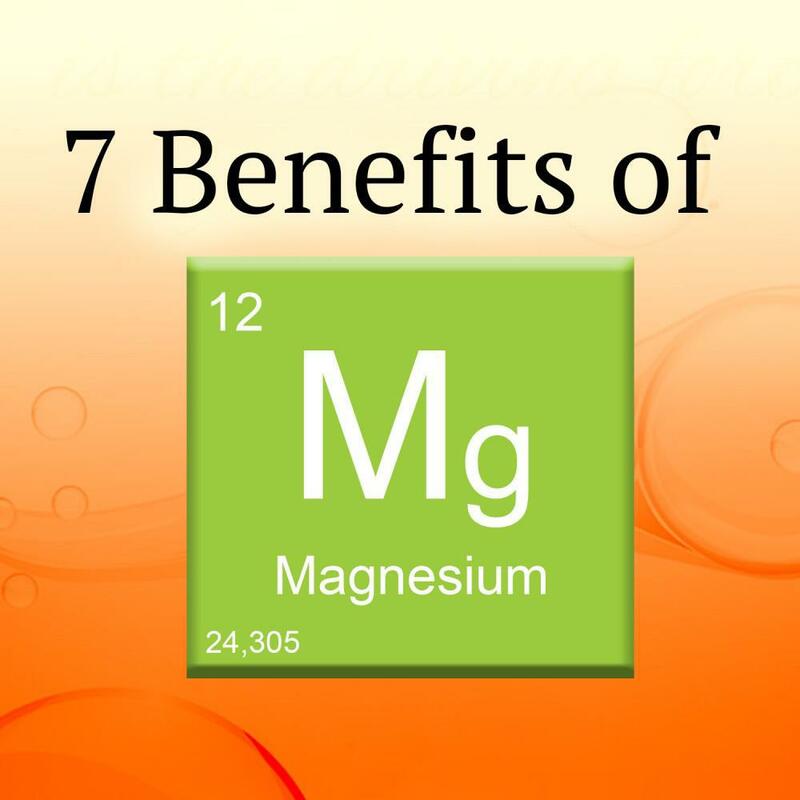 Are you aware of how much Magnesium can affect your daily life? Studies have shown that 50% of US and European people have low levels of Magnesium which can lead to a wide range of chronic health issues. 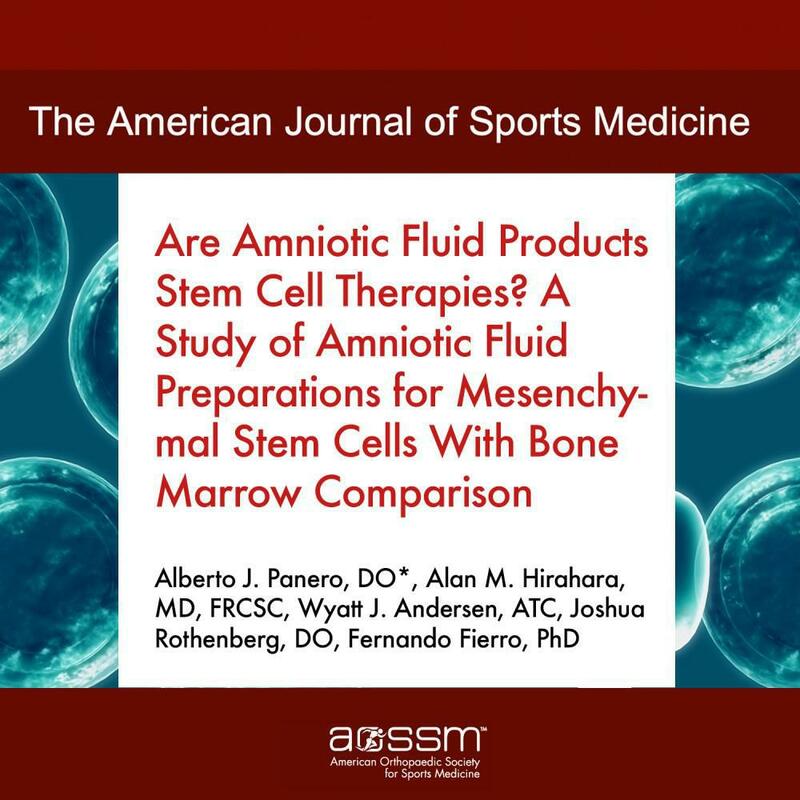 A study published by The American Journal of Sport Medicine on March 7, 2019 shows that the Amniotic Fluid Products studied did not have stem cells. Dr. Malanga reviews the article "Pes Anserine Tendino-Bursitis: To Inject or Not To Inject" by Dr. Donald Pompan in the September issue of Lower Extremity Review. 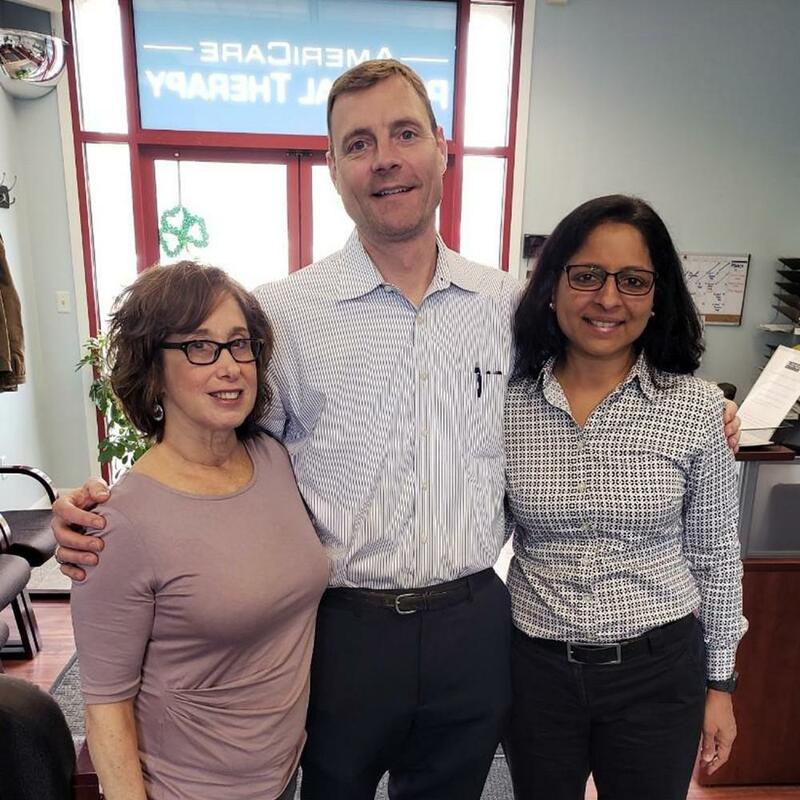 Dr. Thomas Agesen lectured on Regenerative Medicine at the Americare Physical Therapy in Mountainside, NJ. 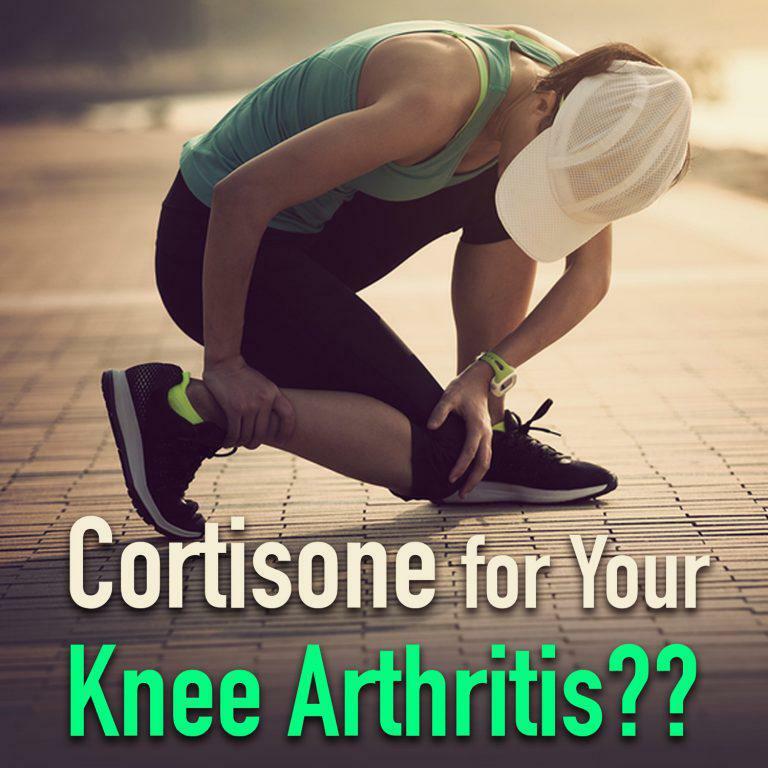 Cortisone for Your Knee Arthritis?? 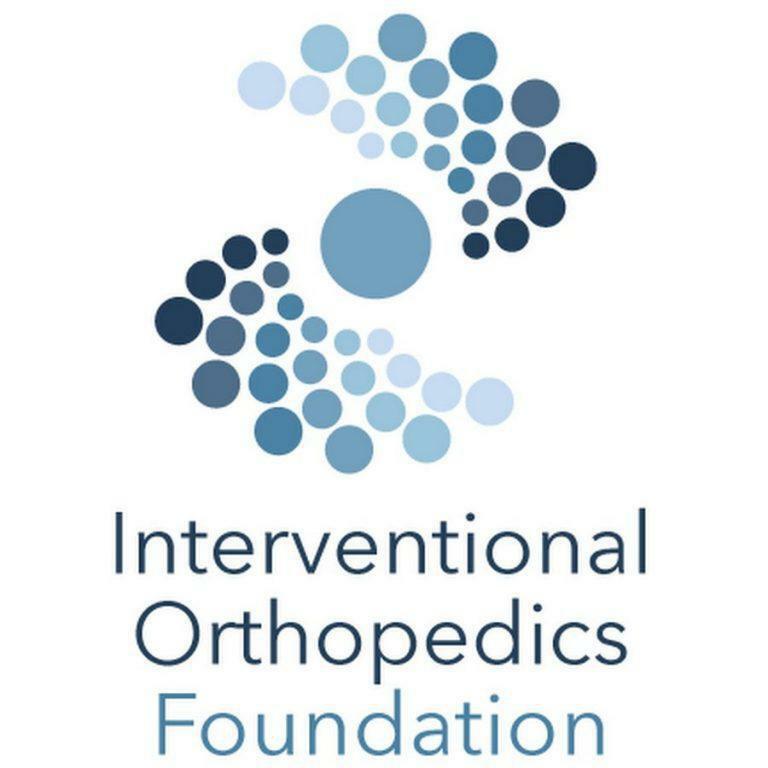 Gerard Malanga, MD has taken over as the 2019 President of the Interventional Orthopedics Foundation. 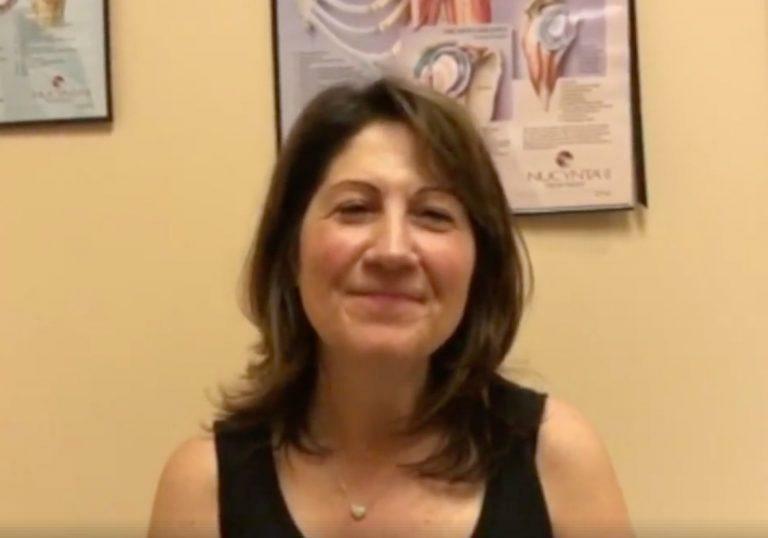 After two years of Rotator Cuff pain in her right shoulder with calcium deposits (and only receiving Cortisone Shots for it), patient was told by her Shoulder Orthopedist that she would need Rotator Cuff Surgery. Drs. 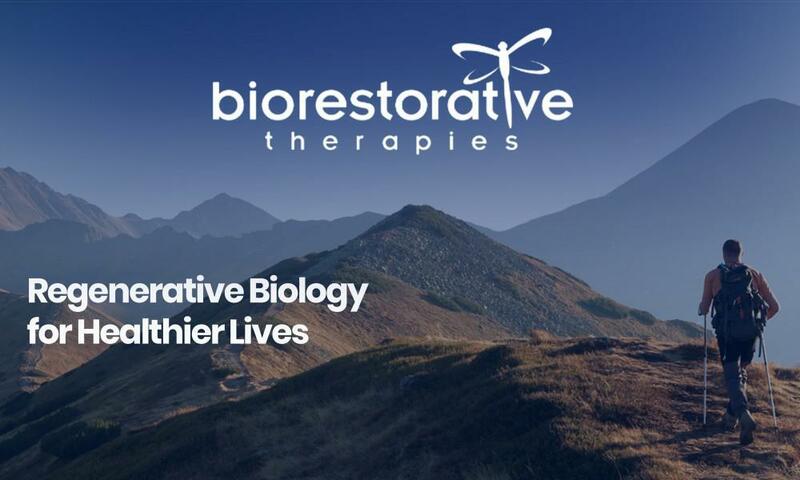 Bowen and Roman featured on Regenerative Spine and Joint Institute’s website. After receiving a Lipogems procedure, Dr. Bowen’s patient has little to no pain for her Knee Bone on Bone arthritis after 6 weeks. Contact the office, so we can help you too! 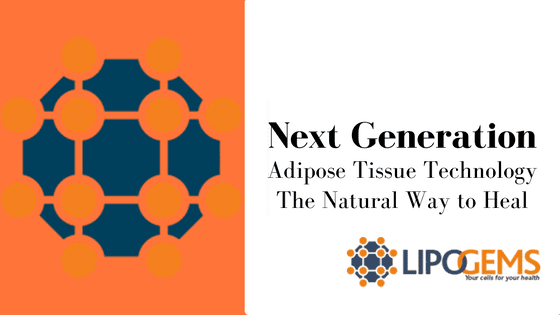 Congratulations to our practice on this Press Release for Lipogems®. Some nice quotes by Drs. Malanga, Bowen and Agesen, so check it out! Drs. 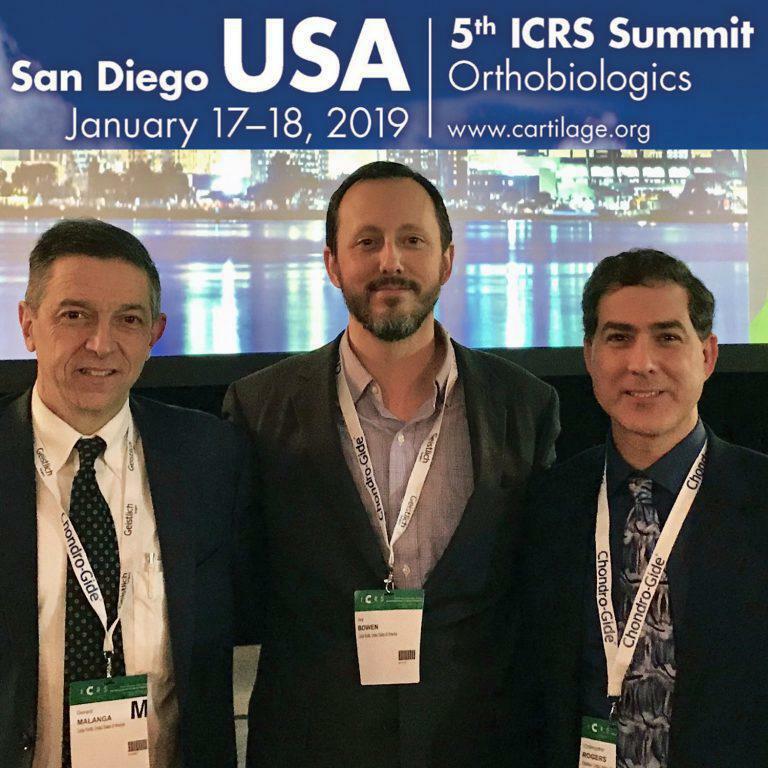 Malanga, Bowen and Rodgers at the International Cartilage Regeneration and Joint Preservation Society (ICRS) Summit in San Diego this Friday, the 18th. 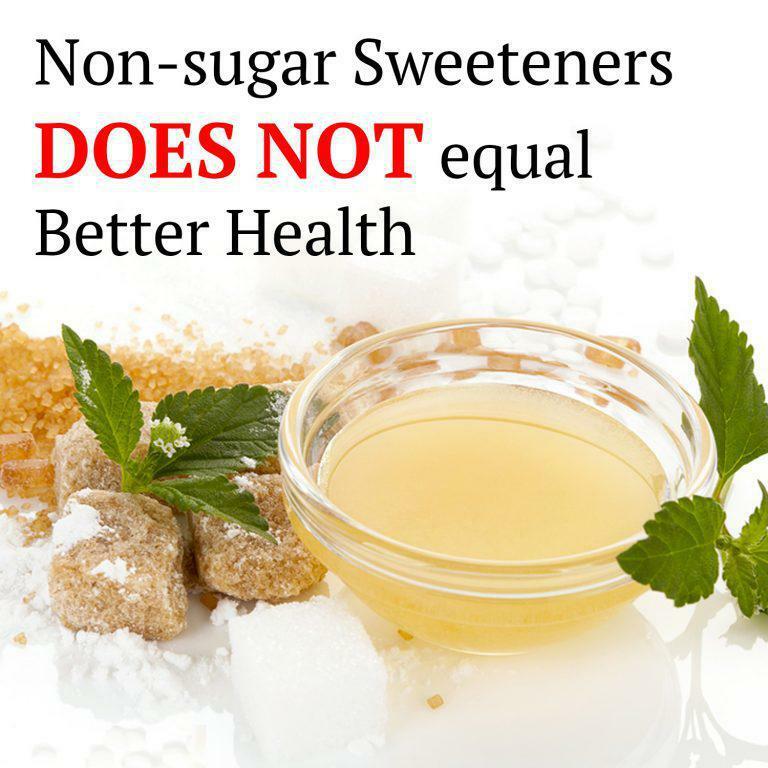 Think you’re contributing to overall health by using non-sugar sweeteners instead of sugar? 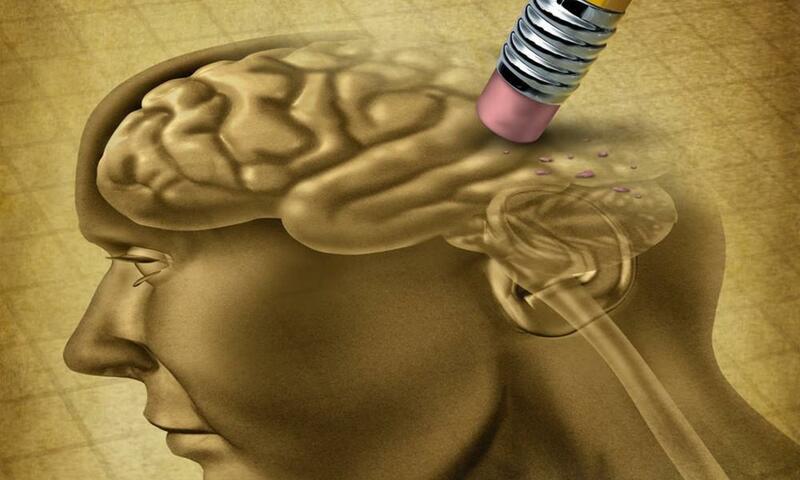 A recent study failed to find evidence supporting such claims, but also showed no negative effects from using them. Read More. 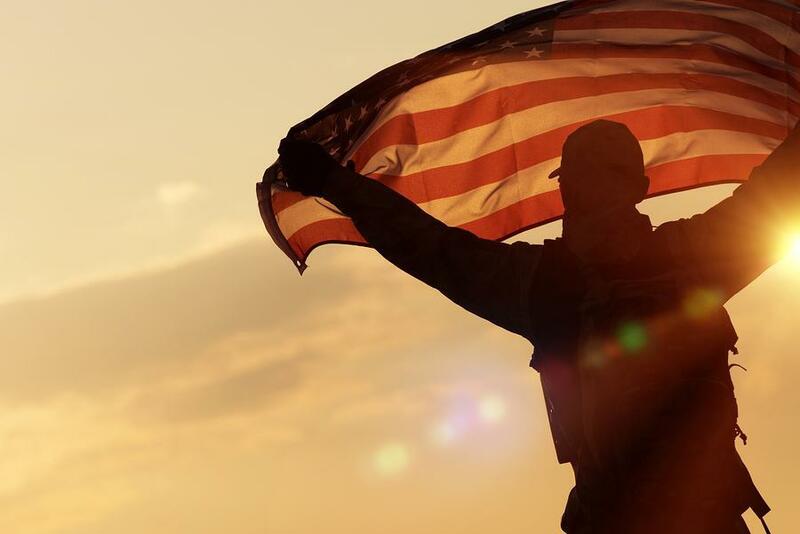 The US Department of Health & Human Services (HHS) has created a Task Force for Best Practices in Pain Management that recently published their draft recommendations. Drs. 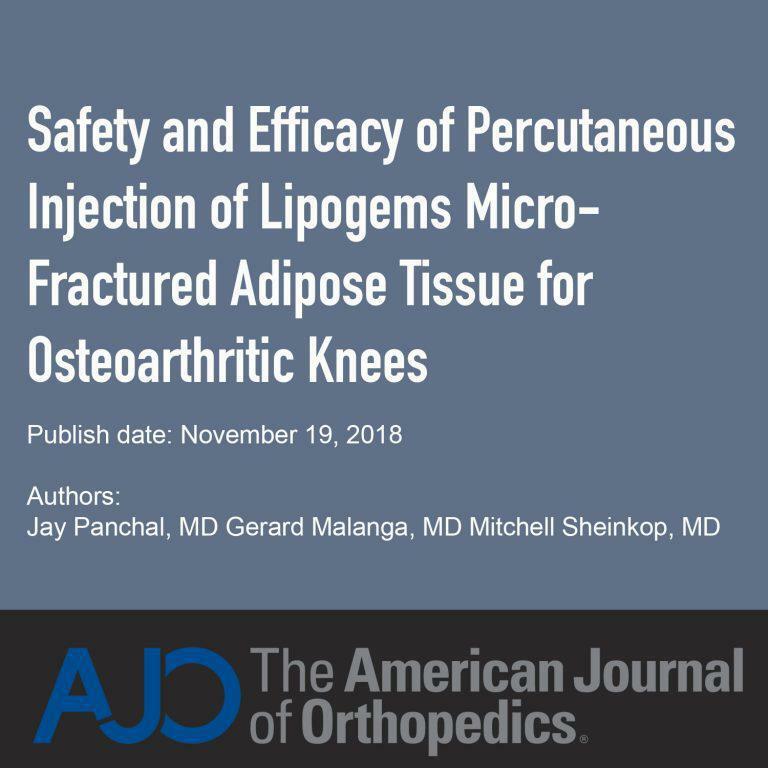 Panchal, Malanga and Sheinkop’s new study about the effectiveness of Lipogems® has been published in The American Journal of Orthopedics and is now available to read in its entirety on our website. 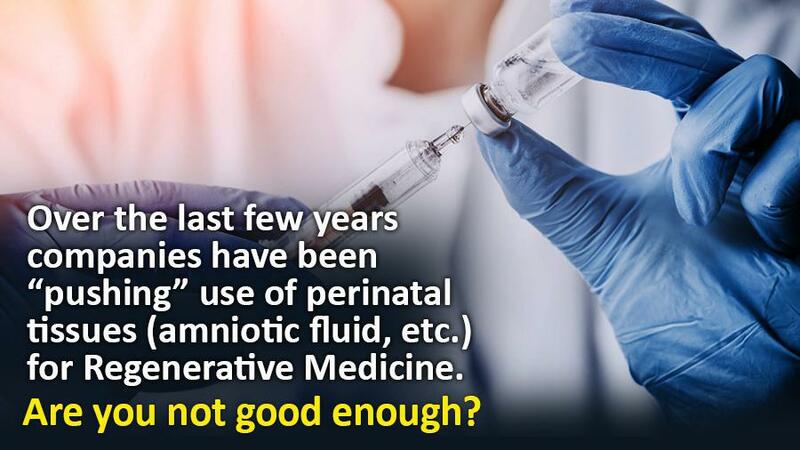 Another reason people need to thoroughly research doctors and practices offering Regenerative Medicine. 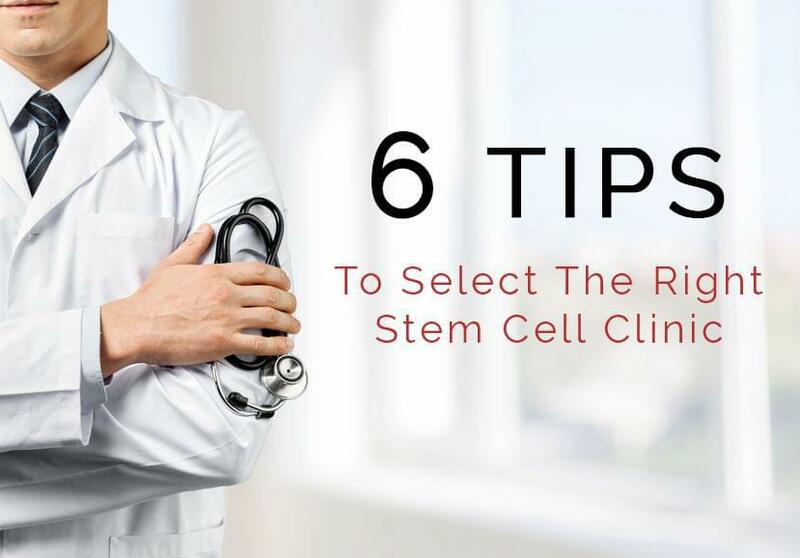 The Healing Miracle website on its December 6 blog entry points out 6 tips that patients should use when picking a stem cell clinic. Meniscal Tear? What You Should Consider. Do you have a meniscal tear? 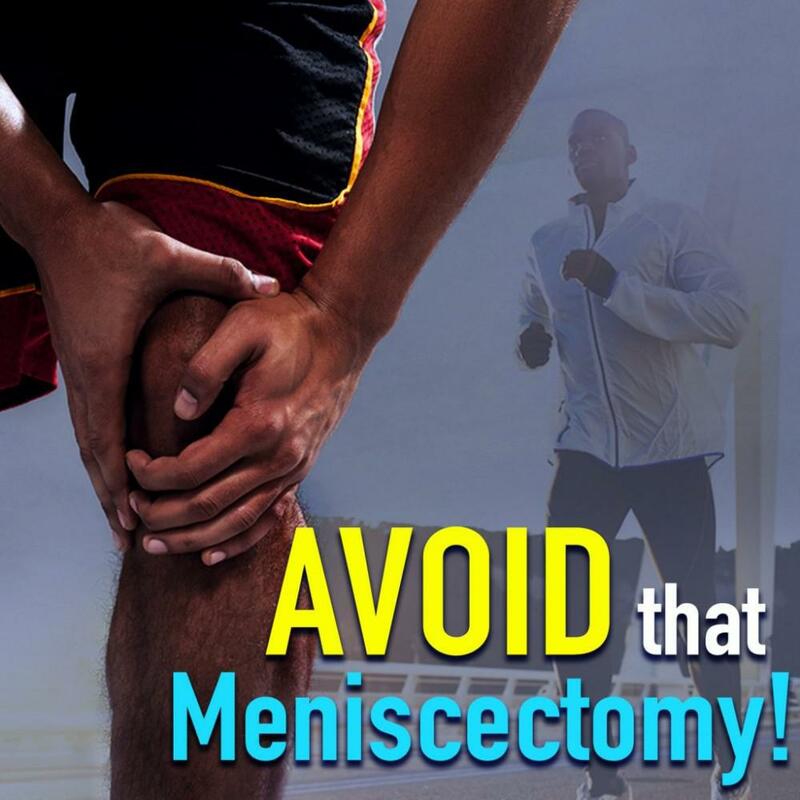 You should strongly consider avoiding a surgical meniscectomy of the knee. 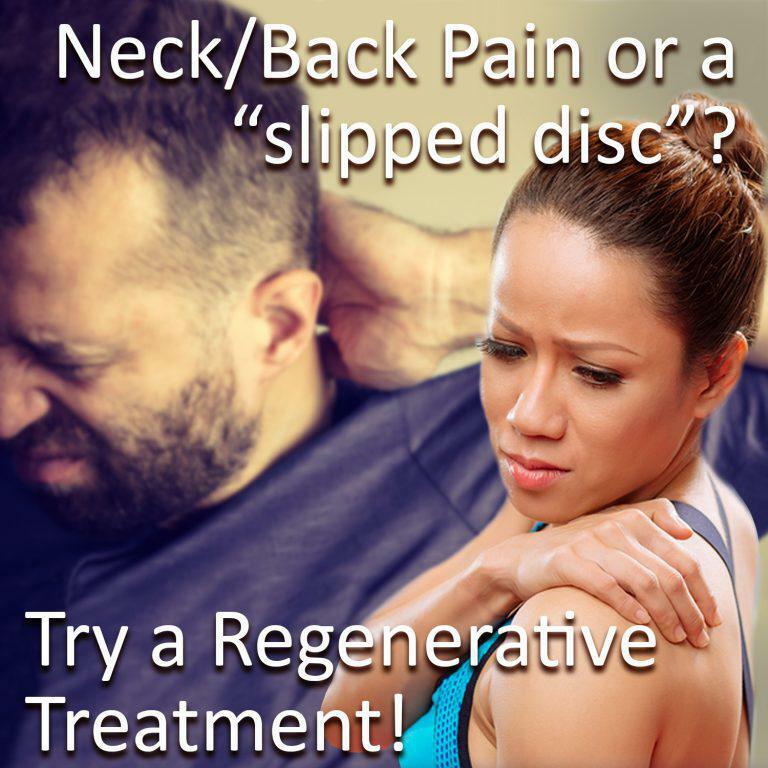 Do you have neck or back pain and a “slipped disc”? If you have had traditional treatment and continue with neck or back pain with/without arm or leg symptoms, there are options before surgery. 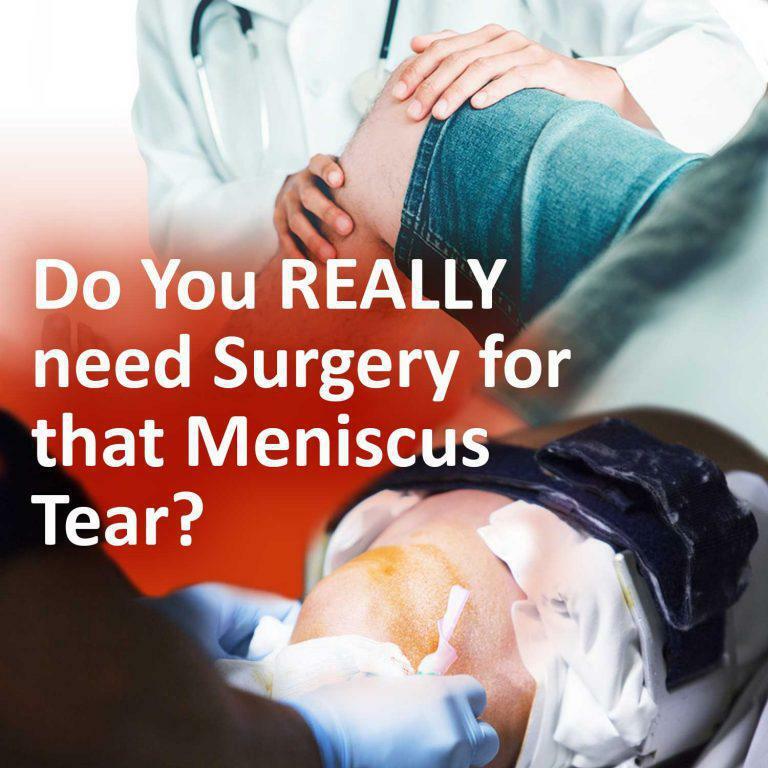 Do You REALLY need Surgery for that Meniscus Tear? 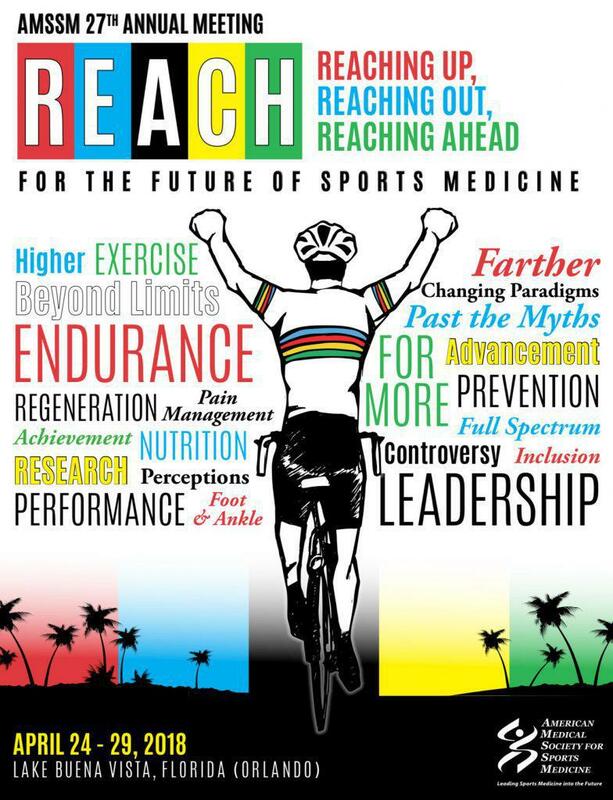 Another study in one of the most respected medical journals calls into question routine orthopedic practice. 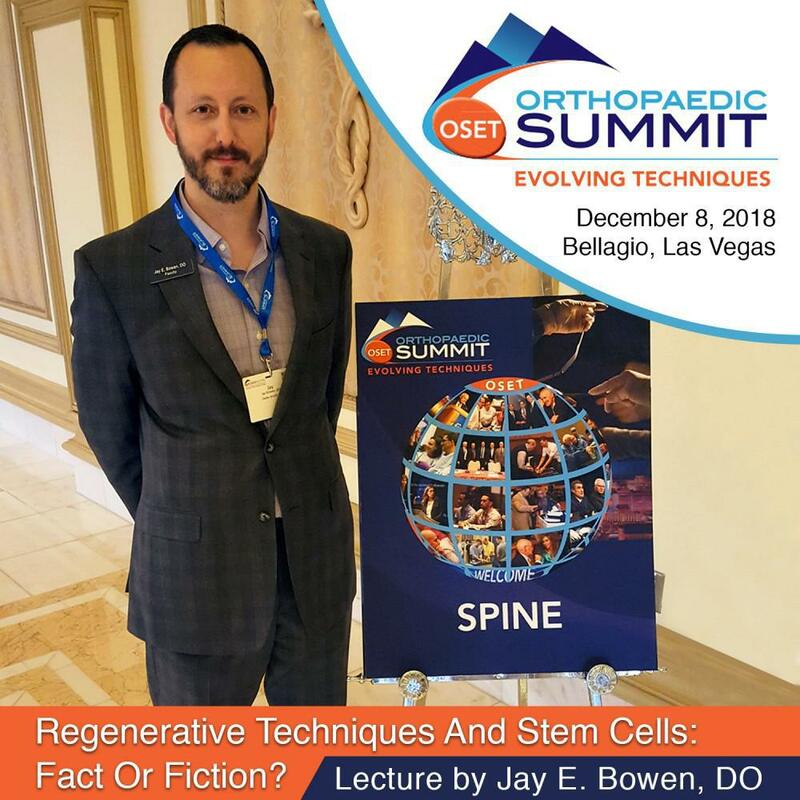 Dr. Bowen was an invited lecturer at the Orthopaedic Summit 2018 at the Bellagio in Las Vegas this December 8th where he discussed whether Regenerative Procedures and Stem Cells were fact or fiction. 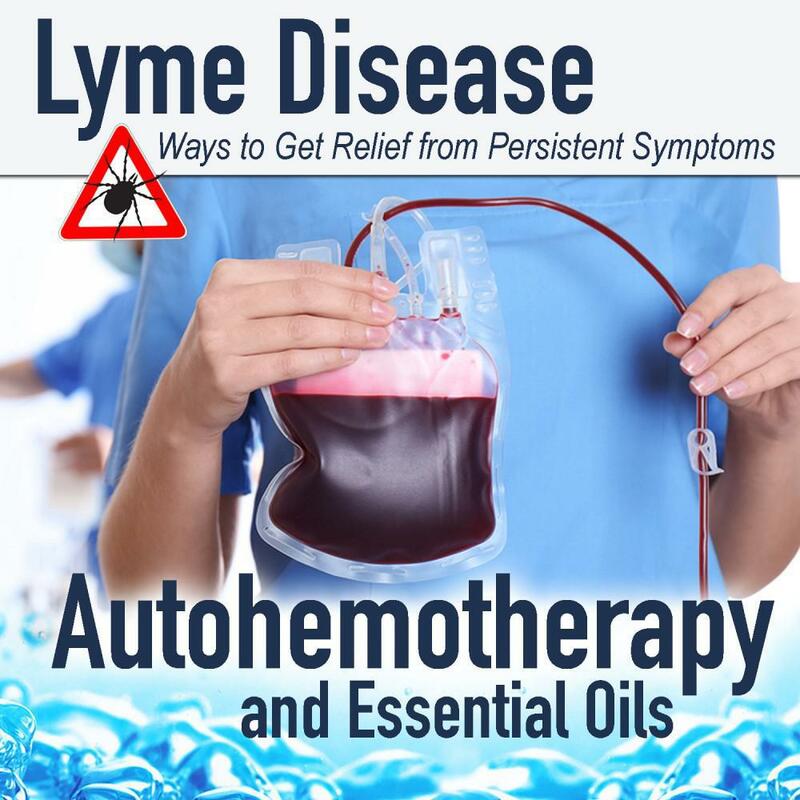 Lyme disease appears under diagnosed with likely 300,00 infections annually in the US instead of the reported 30k+ cases and it is increasing. I came to them with an end stage (bone on bone) shoulder problem. I had been to 3 top surgeons including a professor of shoulder surgery regarding should replacement and they all said this was necessary. 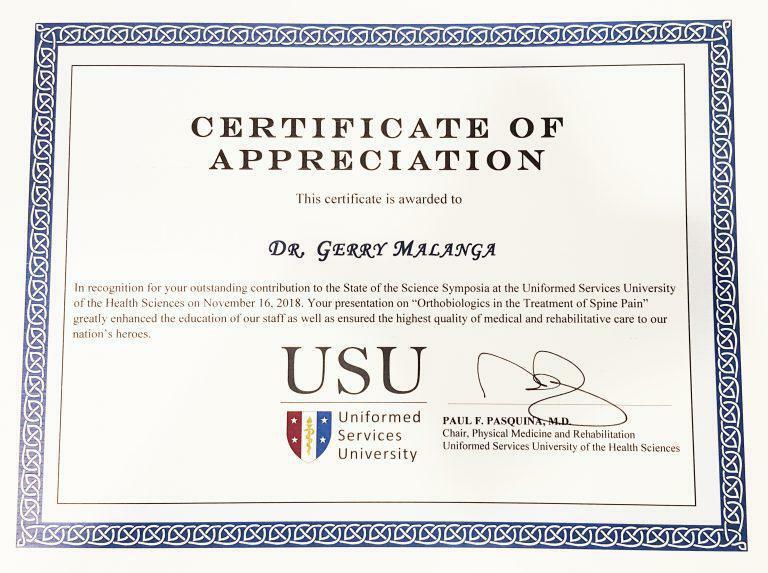 Gerard Malanga, MD receives Certificate of Appreciation for speaking on the Orthobiologics of Spine Pain from the Uniformed Services University of Health Sciences and Department of Veteran Affairs. We recently saw a healthy 45-year-old self-employed female who injured her right knee while at work. She works as a hairstylist which involved long periods of standing. 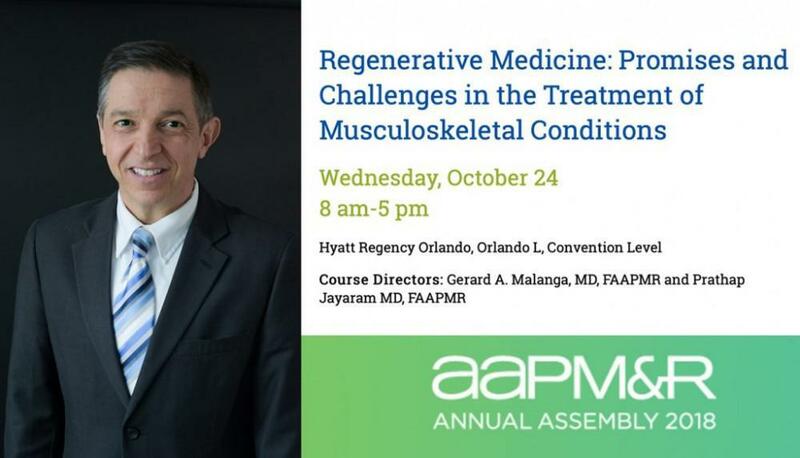 Today at the AAMP&R Annual Assembly 2018, Gerard Malanga, MD FAAPMR was course director along with Prathap Jayaram MD, FAAPMR for the Pre-Conference Course, Regenerative Medicine: Promises and Challenges in the Treatment of Musculoskeletal Conditions. 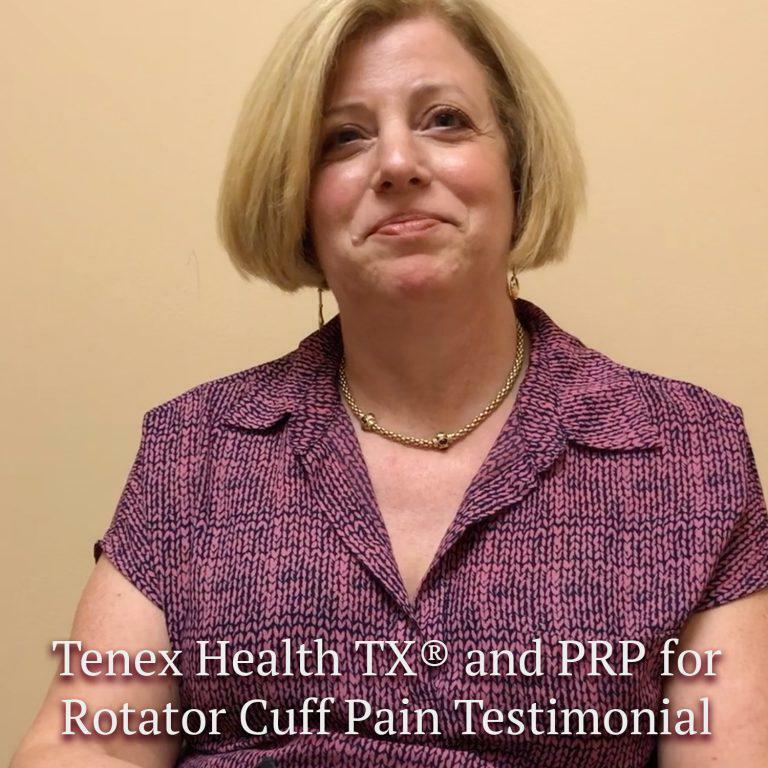 Dr. Jay Bowen’s patient, Joanna, tells about her Lipogems® procedure for her knee pain and lack of mobility. 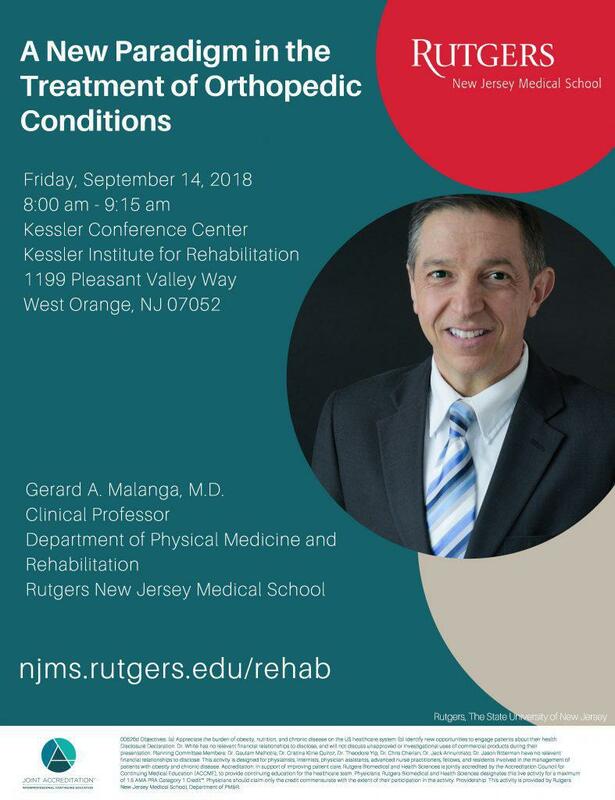 Gerard Malanga, MD will be speaking at the September Grand Rounds for the Rutgers New Jersey Medical School where he is a Clinical Professor in the Department of Physical Medicine and Rehabilitation. Viscosupplementation (aka gel shots, chicken shots, lubricating shots, HA, etc.) 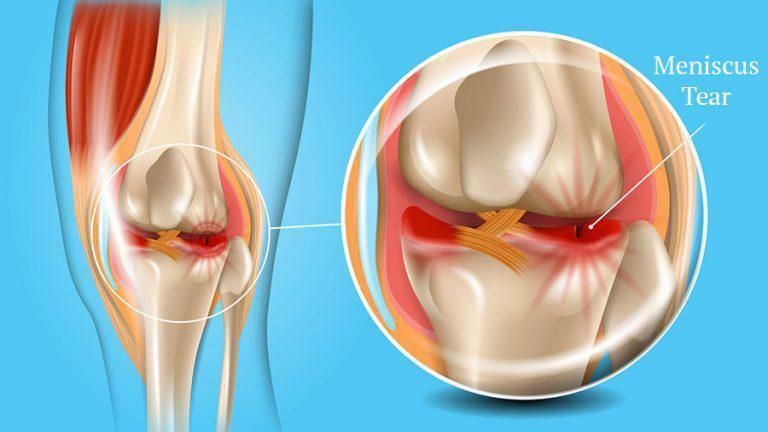 for knee arthritis has had controversy since the AAOS (American Academy of Orthopaedic Surgery) updated their guidelines in 2013. 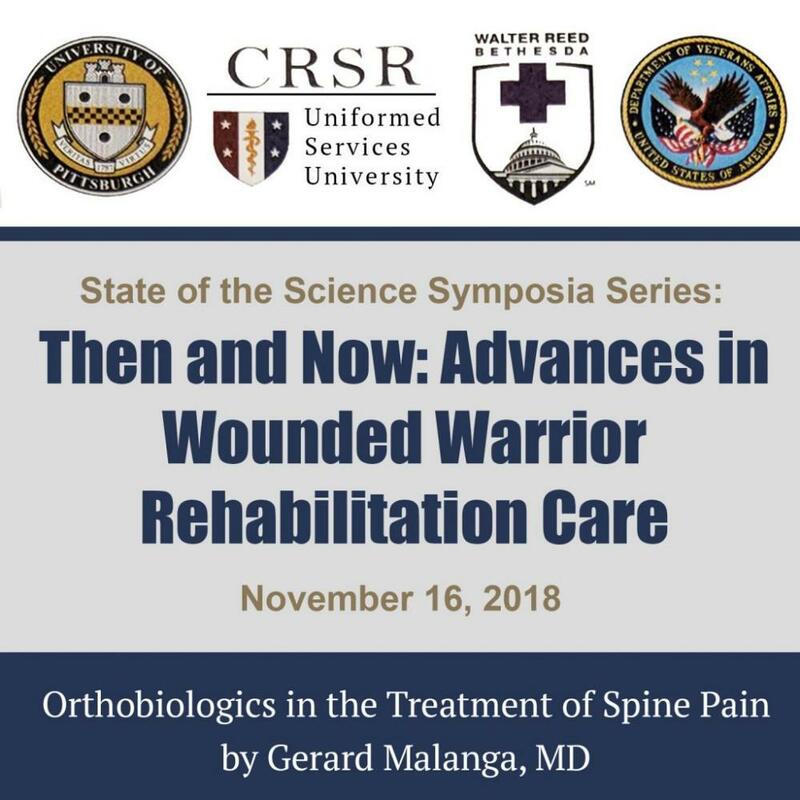 Since there is essentially no research on these substances for orthopedic issues we at NJRI have tried to partner with industry to determine if there is true benefit and when amniotic or other tissue would be applicable or better used in treatment. 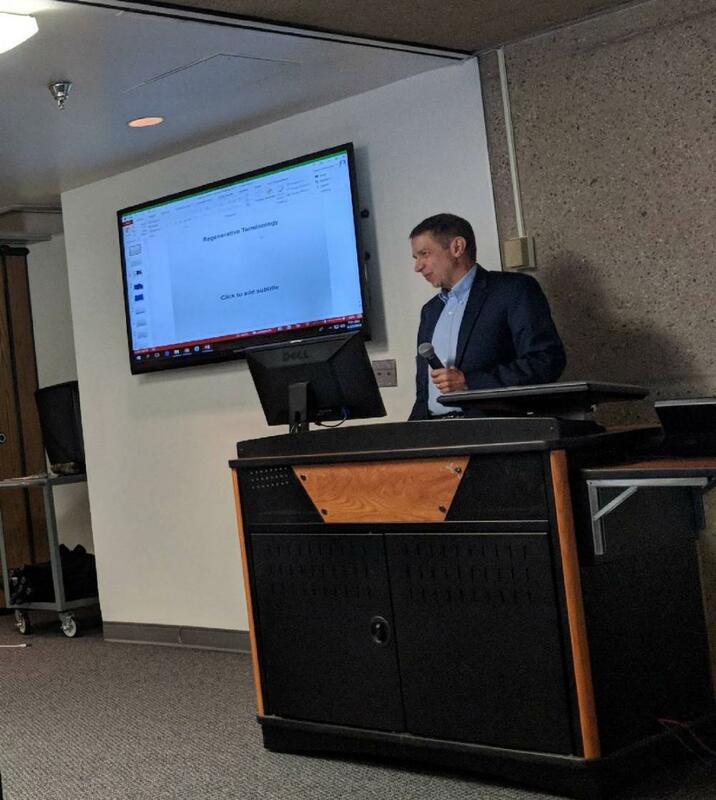 Congrats to Gerard Malanga, MD for being part of the team whose proposal was accepted for inclusion in the Collaboratory for Musculoskeletal Injury Rehabilitation Research (CMIRR). Finally relief! 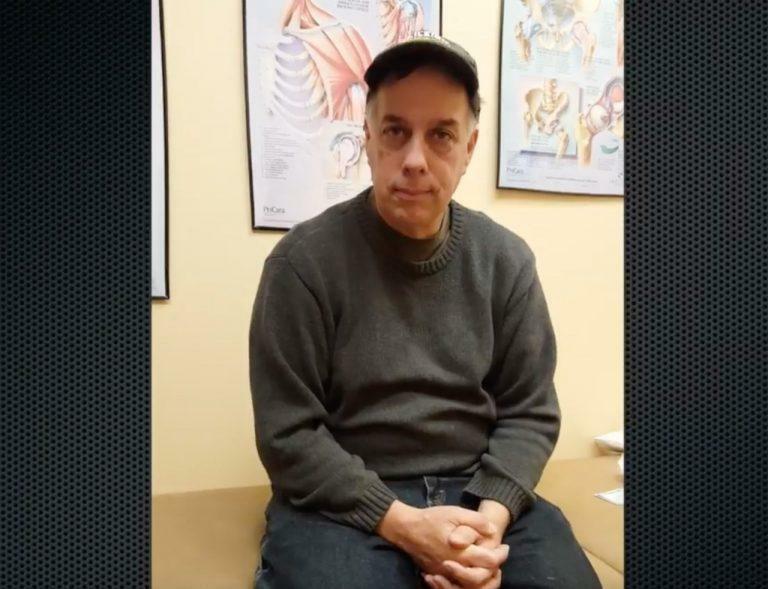 I was suffering from inflammation of my pelvic bones for 10 months (including 5 doctors and various screening tests) when I finally made my way to Dr. Malanga’s care. Excellent time being at the Verizon 5k Race and informing people about our practice. Don’t miss the fantastic video showcasing it by Luke Malanga. 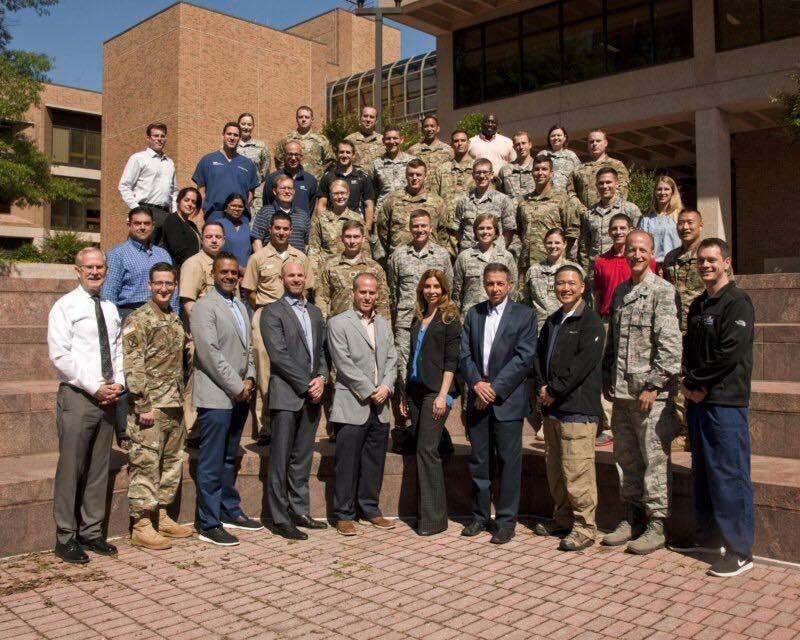 “Excellent and exciting week with the United States Air Force & U.S. Army teaching a Symposium with Cadaver Lab alongside Danielle Aufiero, Rikin Patel, DO, Gerard Malanga & Kenneth Mautner in Bethesda, MD” via Dr. Steven Sampson. 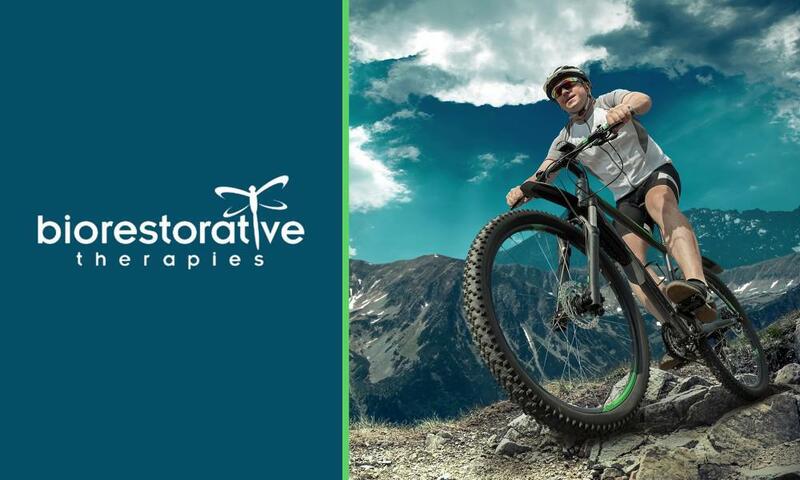 FDA clears Lipogems procedure for orthopedic conditions and arthroscopic surgeries. 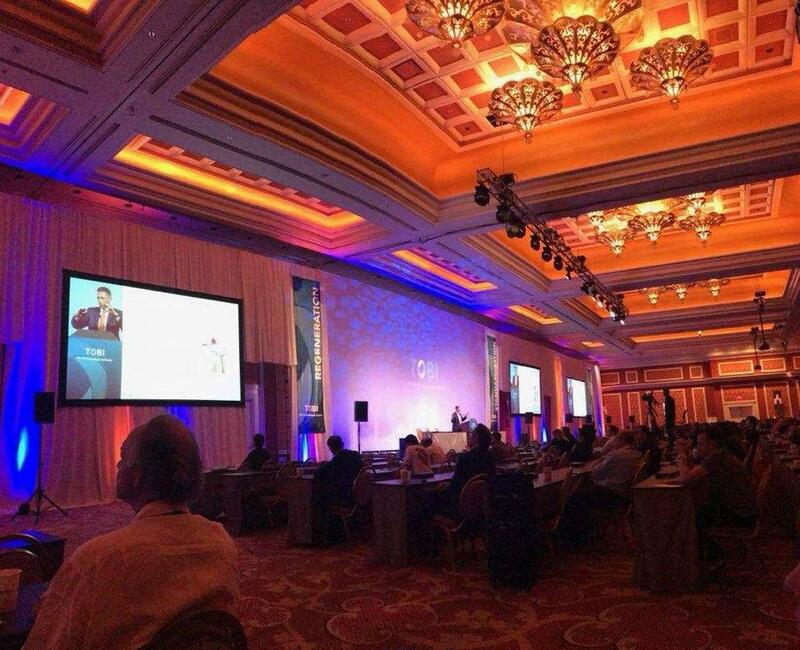 Our physicians have been offering Lipogems® to their patients for the past three years with great success. Interested? 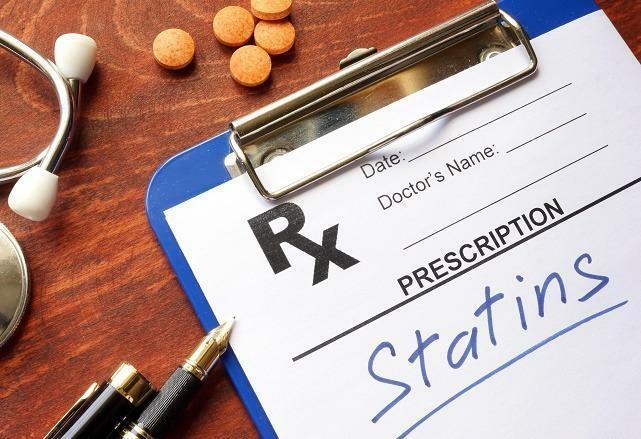 More concerns about current medical care in regards to Statins. This is analogous to “Fake News”! Role of Trigger Points (Myofascial Pain Syndrome) in Neck Pain by Gerard Malanga, MD for Spine Universe. We all love cookies, cakes, ice cream, sugary breakfast cereals, but these drive chronic inflammation that leads to or maintains chronic disease such as arthritis. 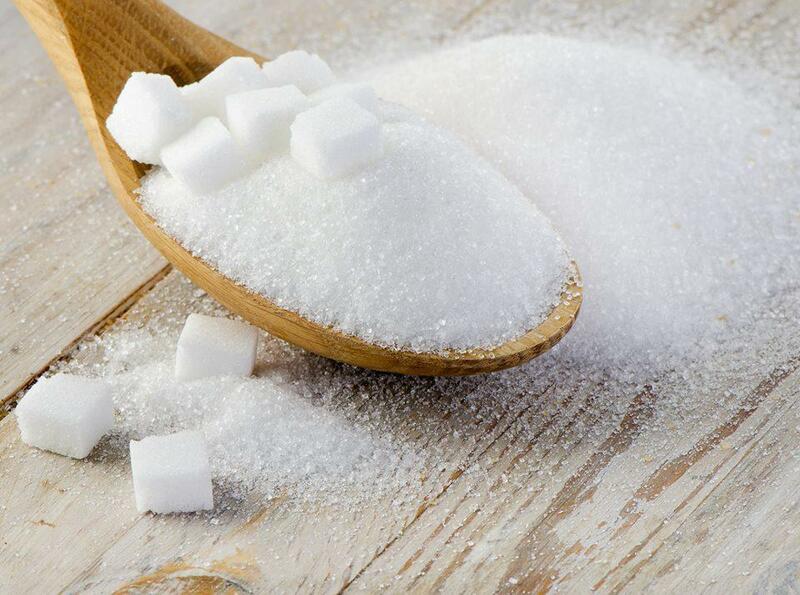 However, the right sugar can improve arthritis. 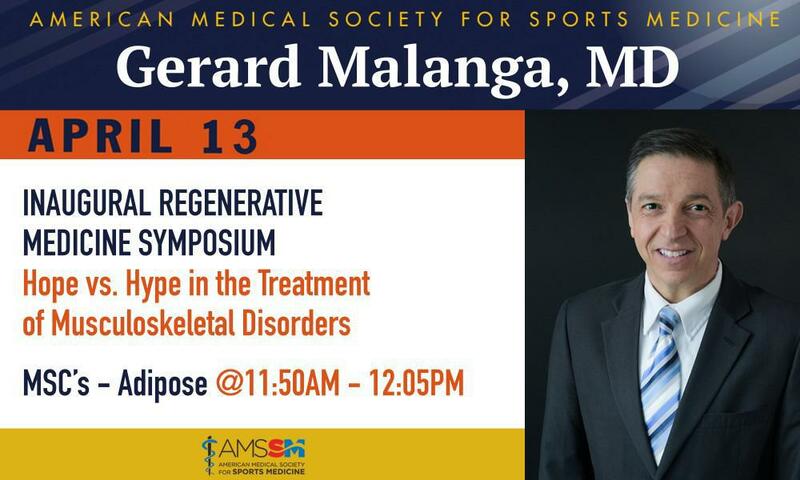 Gerard Malanga, MD will be doing the Orthopaedic Grand Round: “Evidence for Stem Cell Treatments for Orthopaedic Conditions” at Yale School of Medicine Friday, June 22nd at 8:00 AM. 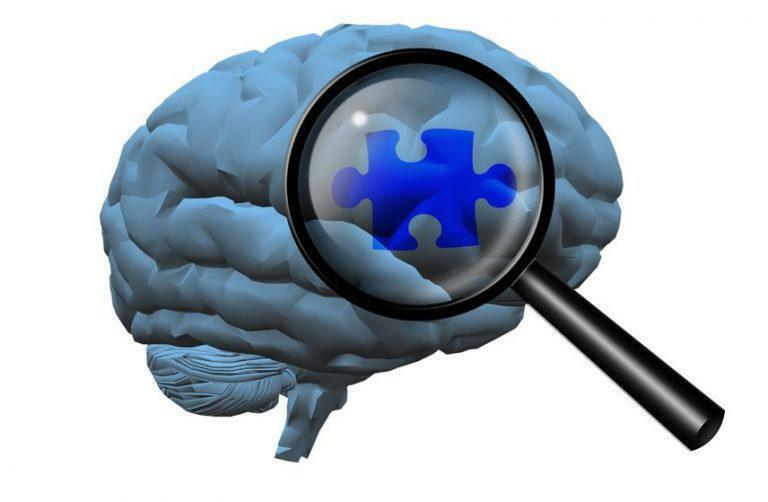 Blog Don’t suffer if your complaint is unusual and not quickly/easily identified! 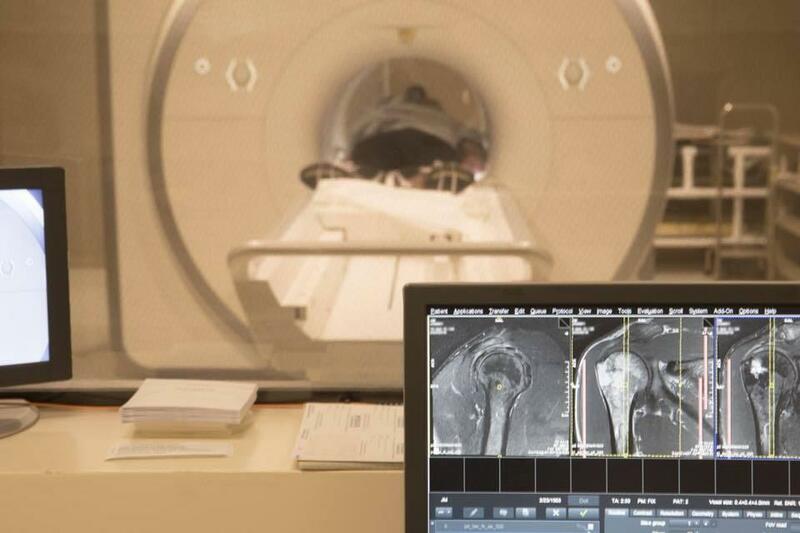 The traditional medical system does not encourage listening, but reviews of tests and images like MRI’s or X-rays. While these tests are good, they do not replace careful listening and examination. Nice thank you from Rebecca Ring to Dr. Malanga for attending TOBI 2018. Dr. Malanga, Thank you so much for your participation as TOBI 2018 Faculty. 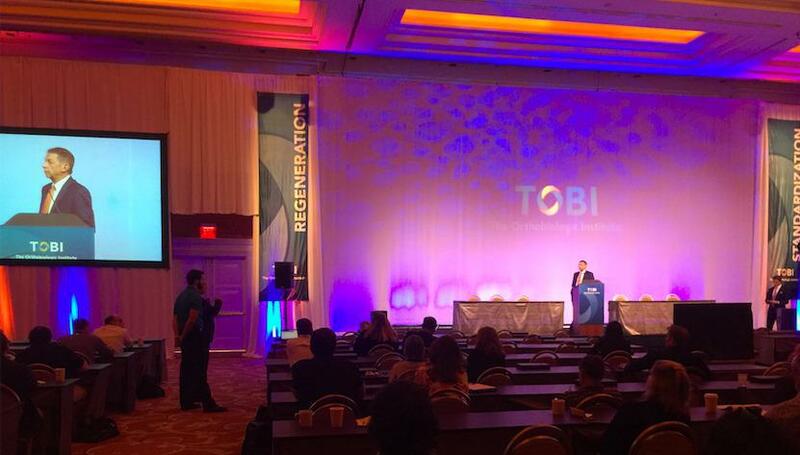 It was a pleasure to welcome you to the Wynn in person and we all deeply appreciate you lending your time and expertise to contribute to the best TOBI yet. 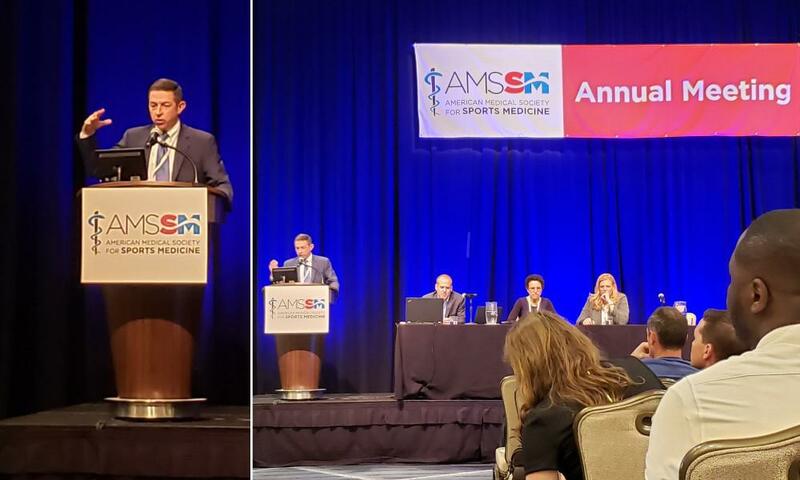 Gerard Malanga, MD was at TOBI 2018 this weekend lecturing on Tissue as a Treatment for Meniscus Tears: Current Literature Review and 1 Year Outcome Results with Ultrasound-guided Injection of Autologous Microfragmented Adipose Tissue. 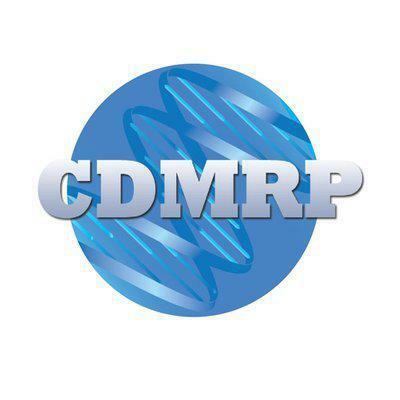 Point/Counterpoint in the May PM&R Journal of Gerard A. Malanga, MD, Samuel Dona, MD, (Adipose Tissue) versus Joanne Borg-Stein, MD and Michael Auriemma, MD (BMAC – Stem Cells) on the case history of a 56 year old woman suffering from Knee Osteoarthritis..
Xymogen has highest monthly sales ever by continuing to provide the standard for quality supplements. Xymogen is only available through licensed practitioners such as our doctor, Thomas Agesen, MD. Please ask at your next appointment with us! In Pain & Don’t Want Surgery? In Pain & Don’t Want Surgery? 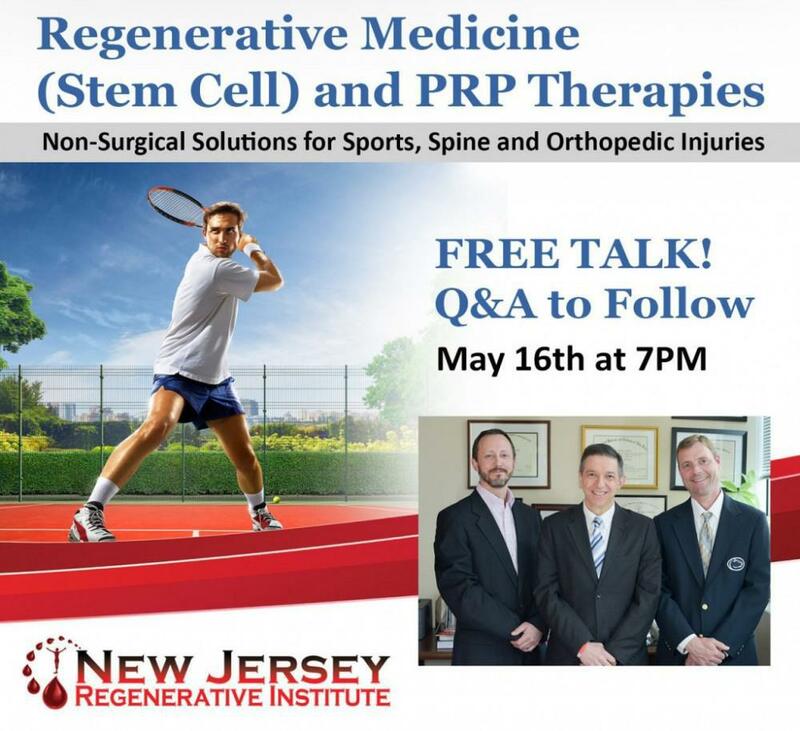 Free Talk by one of our doctors with Q&A on Regenerative Medicine (Stem Cell) and PRP Therapies. Sign up for a consultation afterwards and get $100 off (SELF-PAY PATIENTS ONLY). 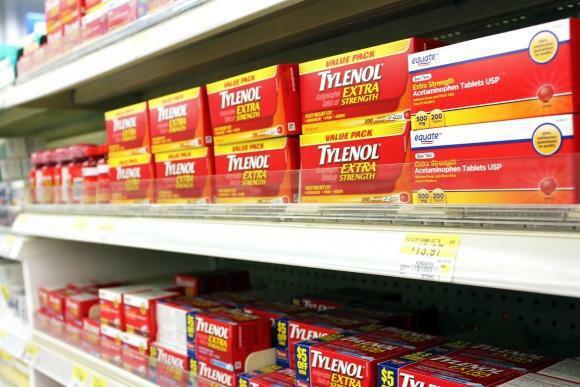 Medications to Relieve Back Pain (Acetaminophen, NSAIDs, Muscle Relaxants, Steroids, and Other Medications) by Gerard Malanga, MD via Spine Universe. Injured and don’t want surgery? Injured and don’t want surgery? 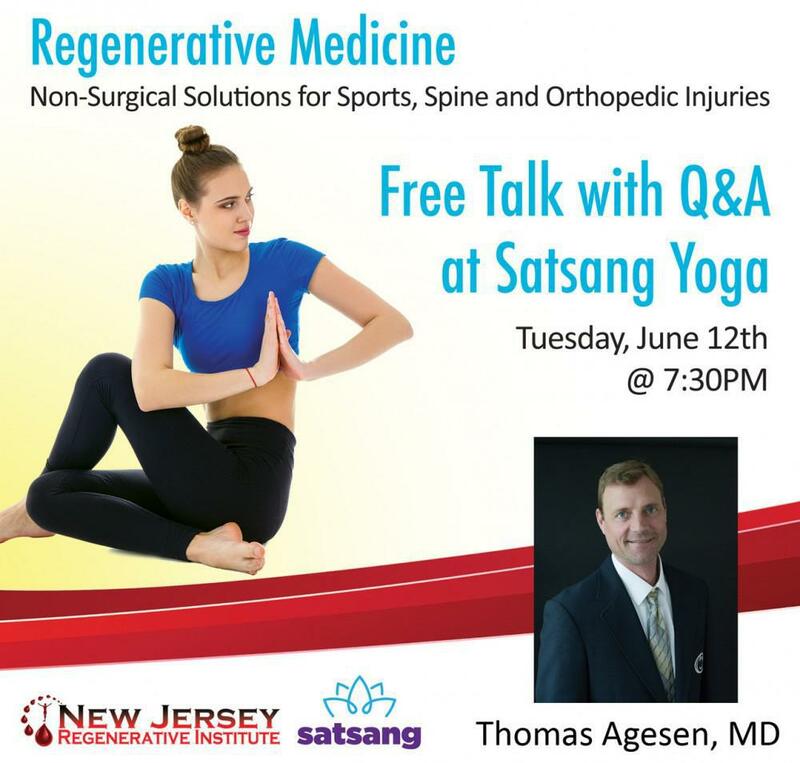 Thomas Agesen, MD will be doing a FREE TALK on Regenerative Medicine (Stem Cell Therapy) and PRP at Satsang Yoga, 235 East Broad Street, Westfield, NJ 07090. June 12 at 7:30 PM. 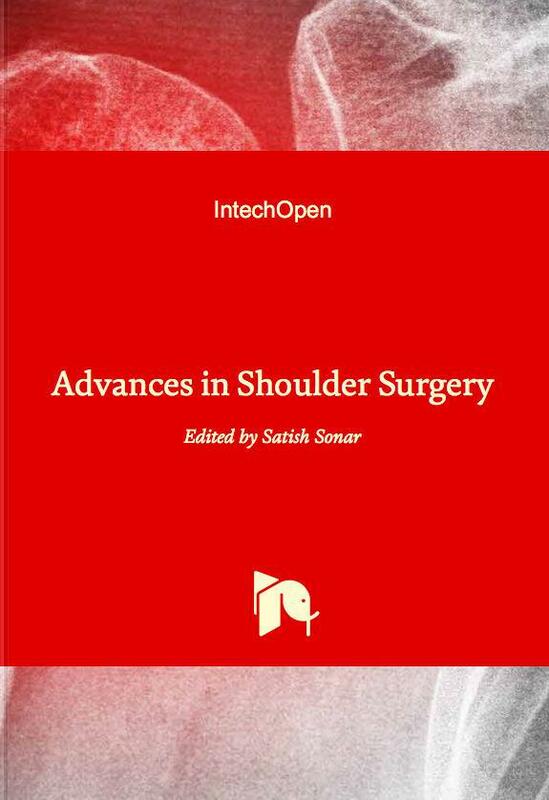 Gerard Malanga, MD is one of the authors of the chapter, “Complete Rotator Cuff Tear:.."
Gerard Malanga, MD is one of the authors of the chapter, “Complete Rotator Cuff Tear: An Evidence-Based Conservative Management Approach” which has just been published in Advances in Shoulder Surgery. 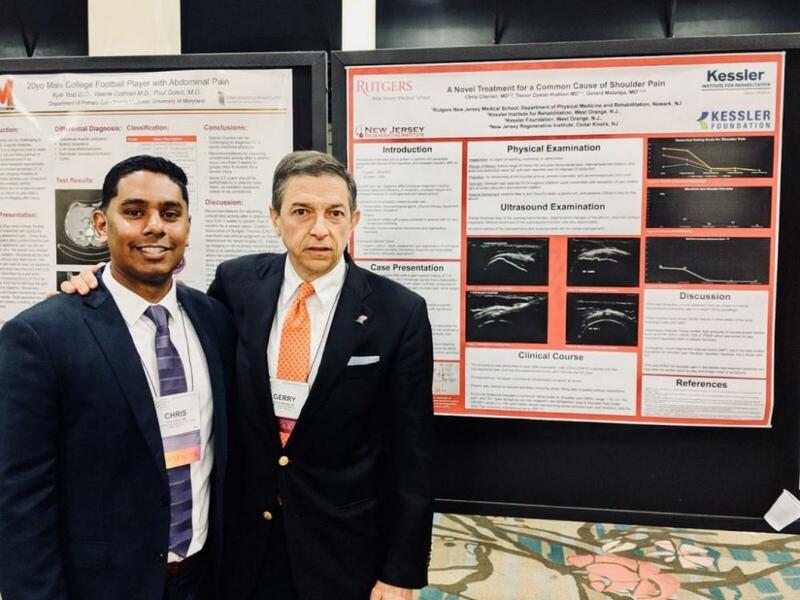 Chris Cherian, MD and Gerard Malanga, MD (along with the Kessler Institute of Rehabilitation and the Kessler Foundation) with the poster they presented at the AMSMM18 meeting this past weekend on Micro-Fragmented Adipose Tissue for Rotator Cuff Tear. 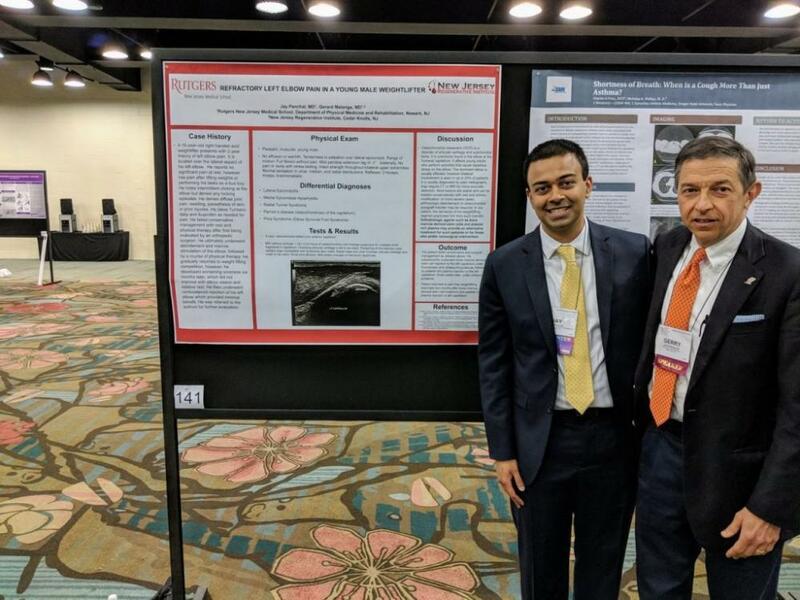 Jay Panchal, MD and Gerard Malanga, MD with the poster they presented at the AMSMM18 meeting this past weekend on Refractory Left Elbow Pain in a a Young Male Weightlifter. 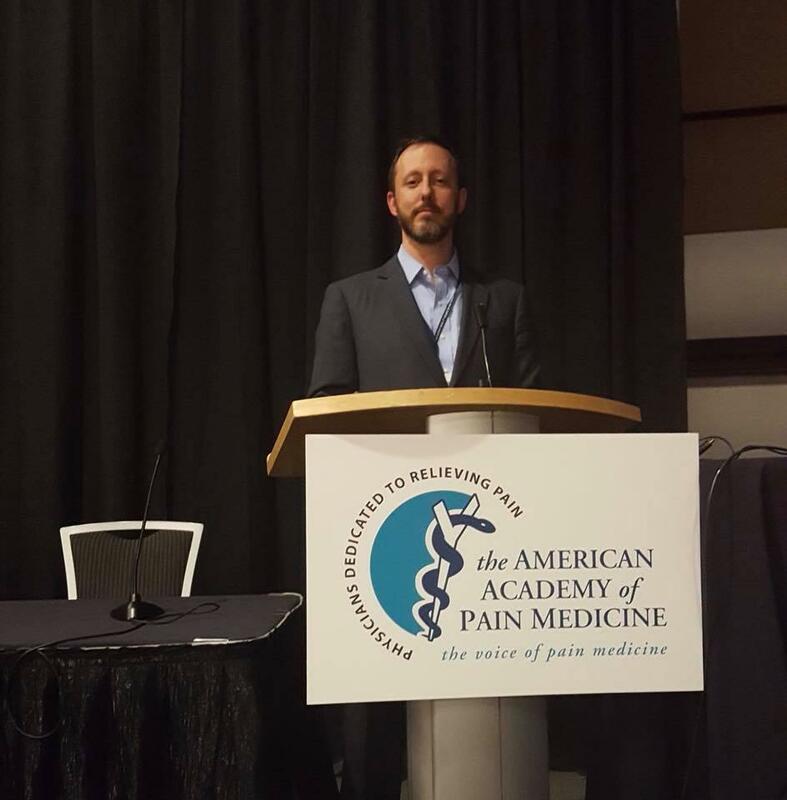 ‪Jay E. Bowen, DO lecturing on the Update on Evidence for Regenerative Therapies for Pain at the American Academy of Pain Medicine’s 34th Annual Meeting on April 27, 2018. 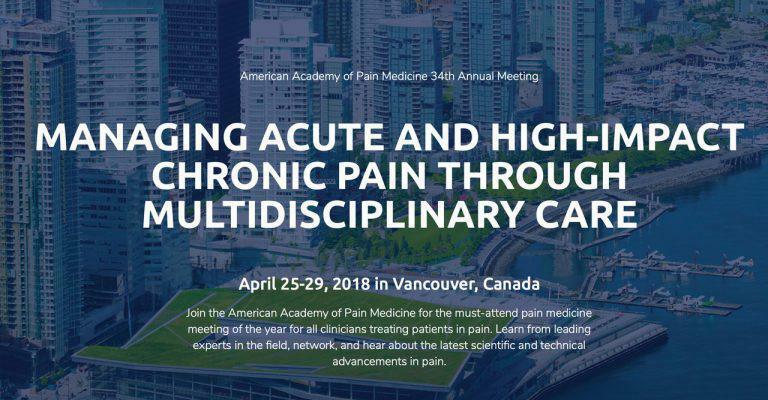 ‪Jay E. Bowen, DO is an invited speaker at American Academy of Pain Medicine’s 34th Annual Meeting on April 25-29, 2018 in Vancouver, Canada. 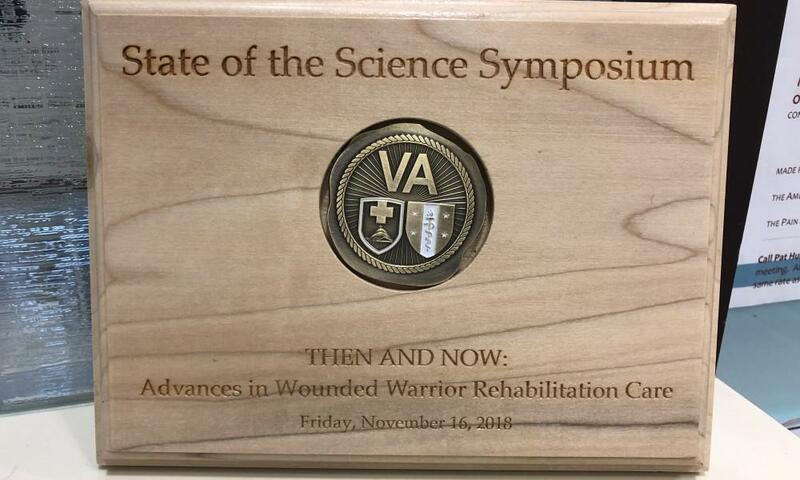 He will be lecturing on the Update on Evidence for Regenerative Therapies for Pain. May 16th at 7:00PM to 8:30PM. 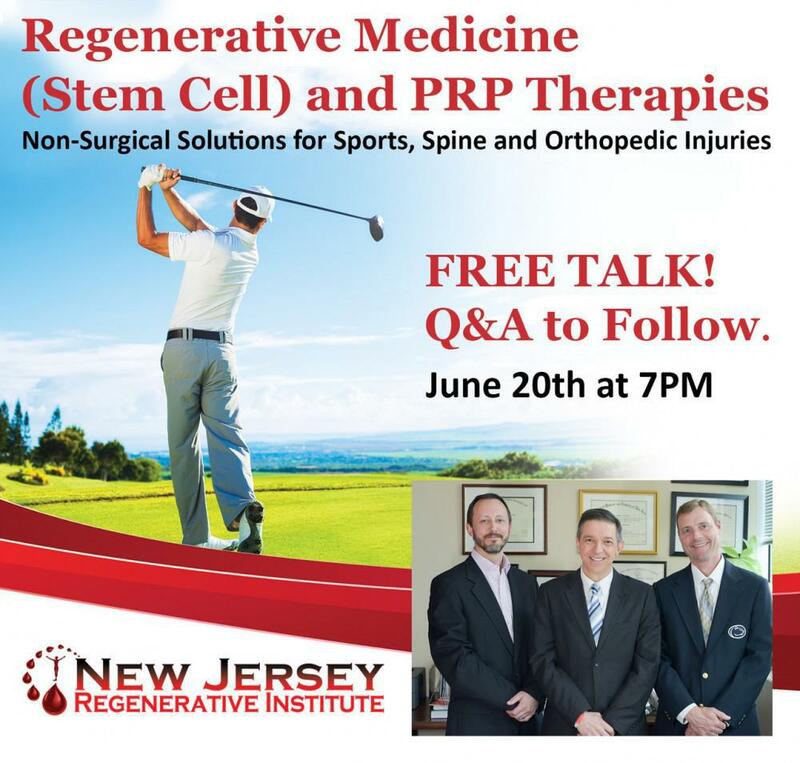 Free Talk with Q&A on Regenerative Medicine (Stem Cell) and PRP Therapies. Sign up for a consultation afterwards and get $100 off (SELF-PAY PATIENTS ONLY). Disabling Left Shoulder Injury/Pain 90% alleviated with Lipogems after 5 months and performed by Thomas Agesen, MD. 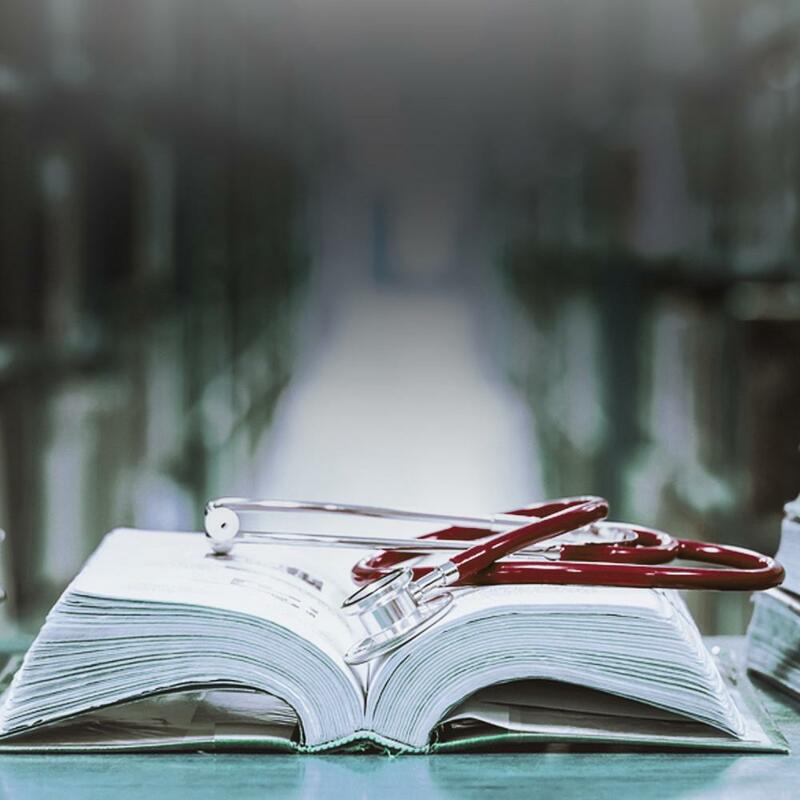 Clinical Massage Therapy “Real-World” Study Outcomes by Kelly Rehan and Commentary by Gerard Malanga, MD via @SpineUniverse. 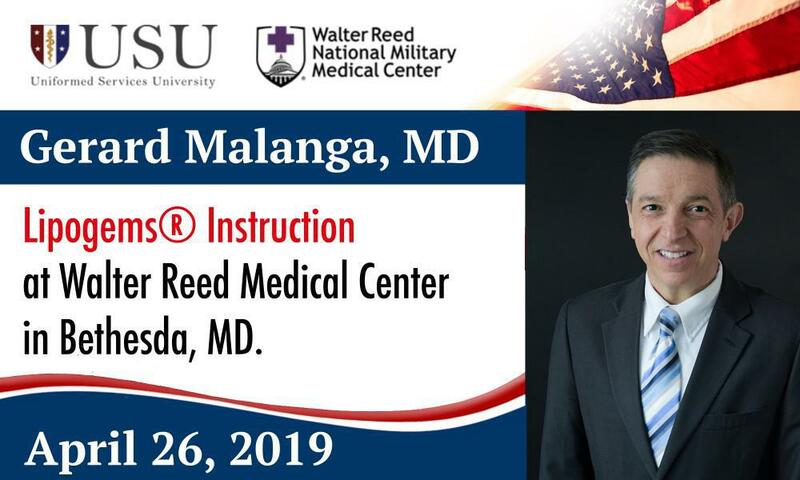 Gerard Malanga, MD was an invited guest at the Regenerative Medicine Stakeholders Meeting for the Defense Health Agency US Army Medical Research & Material Command Clinical & Rehabilitative Medicine Research Program held in Potomac, MD on April 11th. 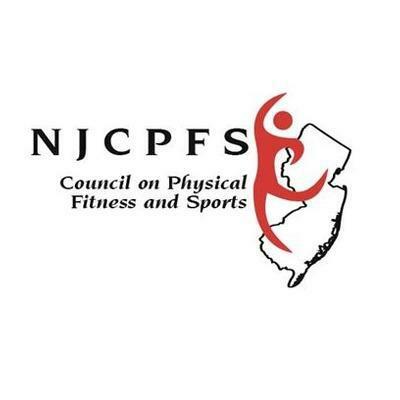 Congrats to Jay E. Bowen, DO for being appointed to the New Jersey Council on Physical Fitness and Sports in January 2018. 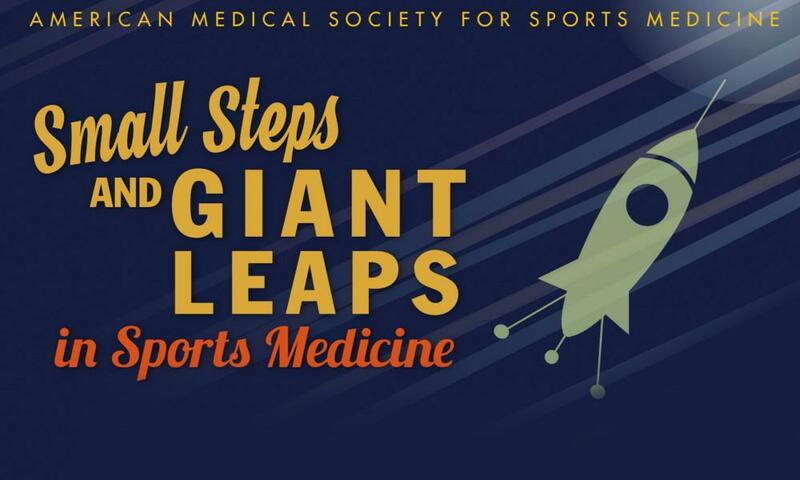 Gerard Malanga, MD will be attending the AMSSM 27th annual meeting in Florida this April 24-29. 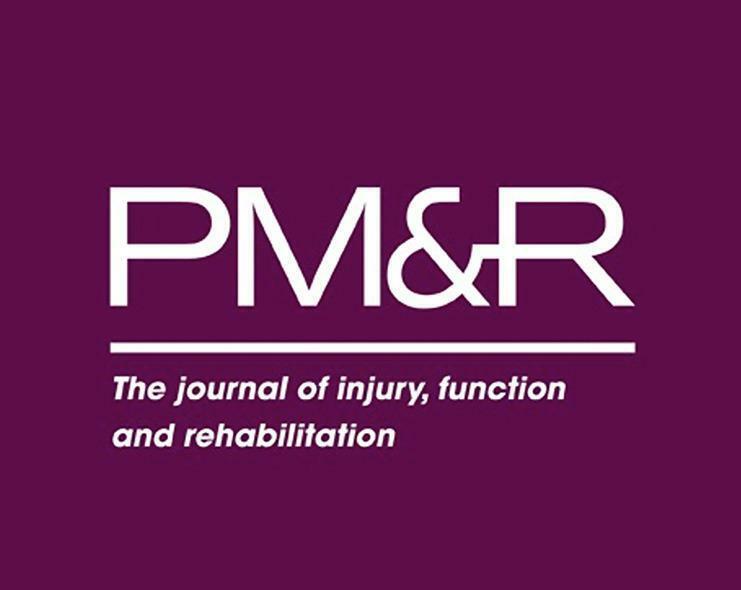 Spine Specialists On-Call: Paralysis – How Close Are We to Walking Again? 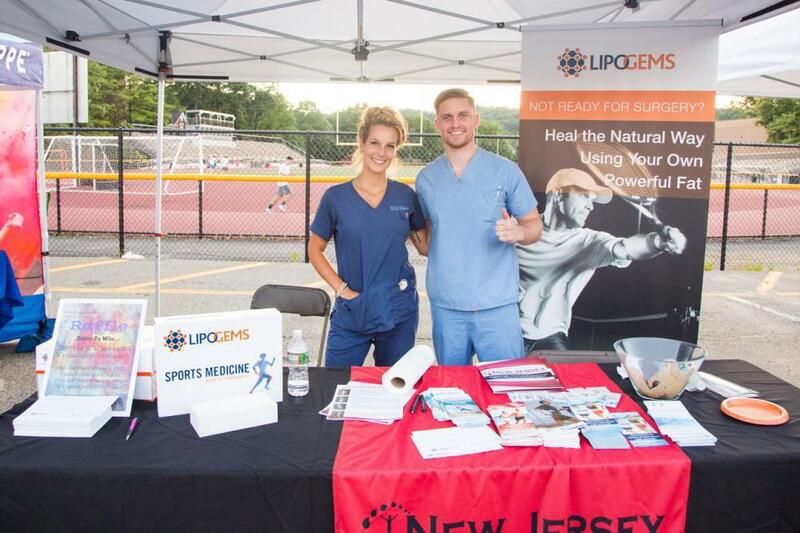 New Jersey Regenerative Institute was part of a recently published paper demonstrating the benefits of Lipogems for patients with shoulder pain from rotator cuff tears and arthritis in the Journal of Orthopaedics Spine and Sports Medicine. 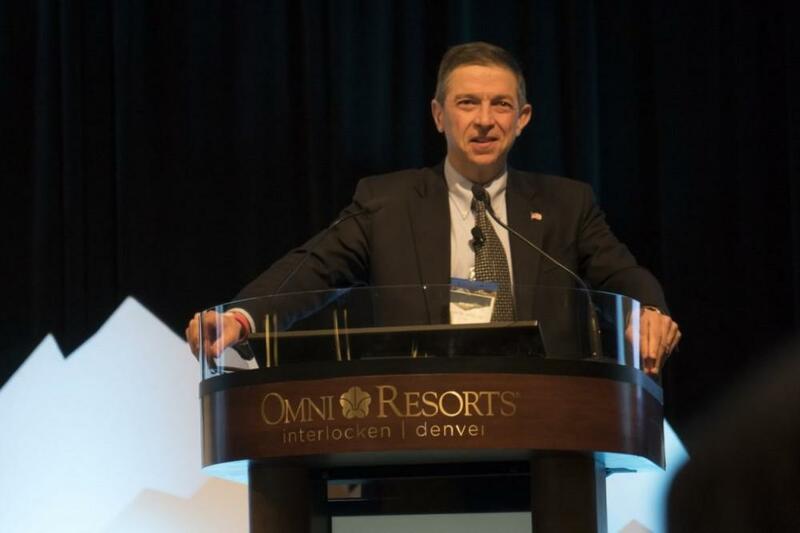 Congratulations to Gerard Malanga, MD who has been confirmed by the Interventional Orthopedics Foundation (IOF) board of directors to be President-Elect for 2019/2020! 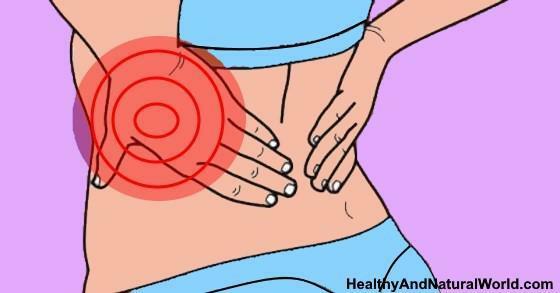 Healthy and Natural World’s article “Pain in The Left Side of Back Under Ribs: What It Means According to Science” by Jenny Hills featuring Gerard Malanga, MD. This Medscape article brings up more concerns regarding the benefits of knee replacements. 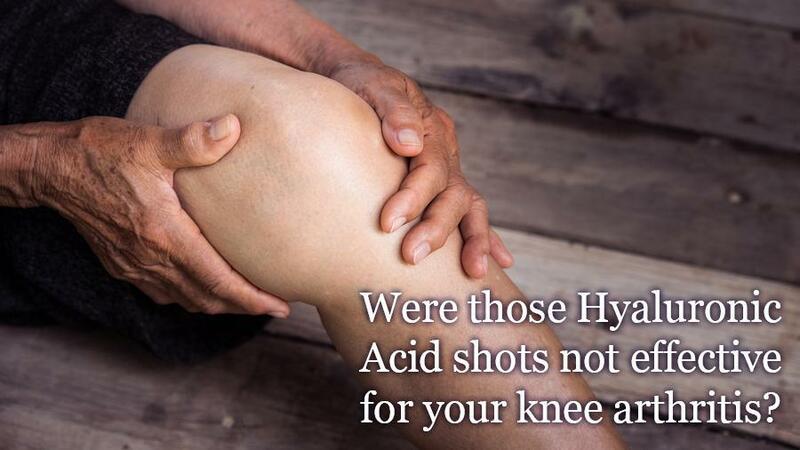 Come to NJRI to see the many options we offer patients with knee pain for arthritis! Jay E. Bowen was an invited speaker at the New Jersey Association for Health, Physical Education, Recreation and Dance’s Annual Convention in Long Branch, NJ on February 28th. 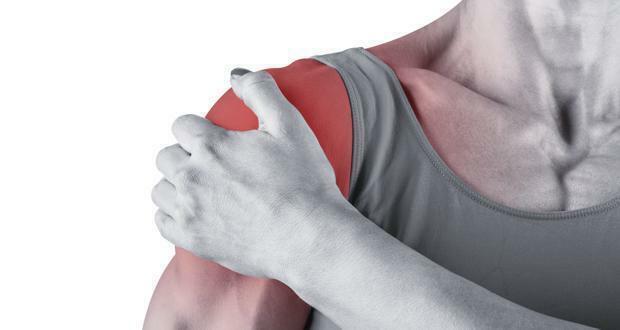 Another article that supports NON-OPERATIVE treatments and this time on Rotator Cuff Tears! Anthony’s glowing Testimonial about Dr. Malanga, our office, and the PRP/BMAC (Stem Cells) he had on his right pec and AC Joint. 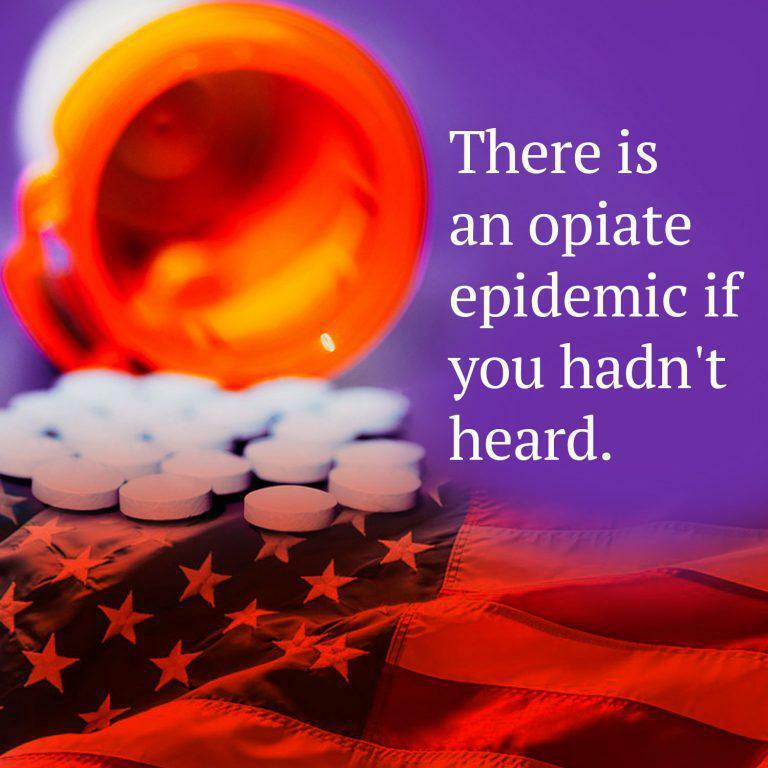 Contact the office, so we can help you! 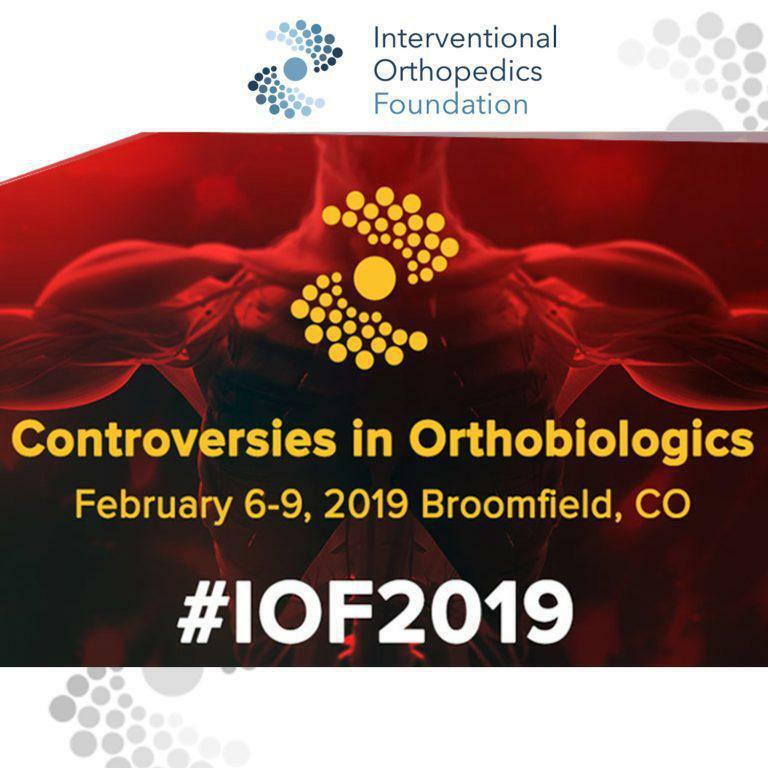 ‪Gerard Malanga, MD was an invited speaker at the Interventional Orthopedic Foundation (IOF) annual meeting last week. 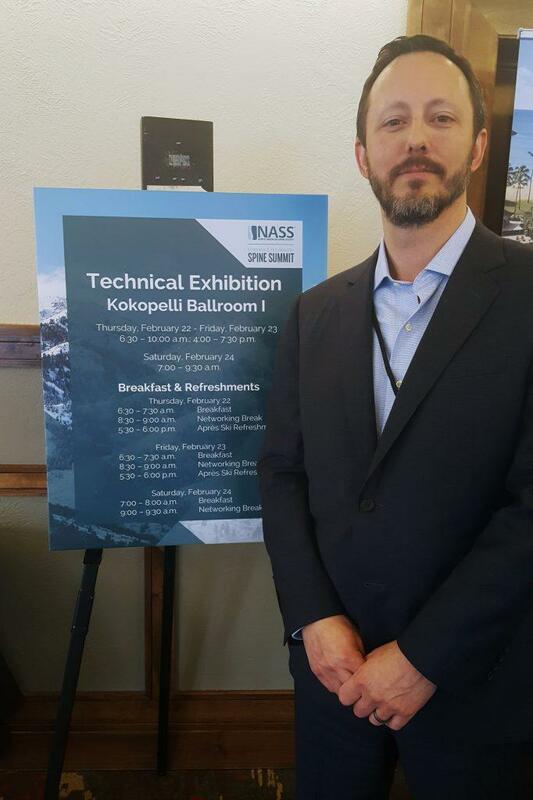 On February 22, Jay E. Bowen, DO spoke at NASS, the premier society for spine specialists, on the Use of PRP and Stem Cells for Nonoperative Spine Care at their Evidence & Technology Spine Summit. 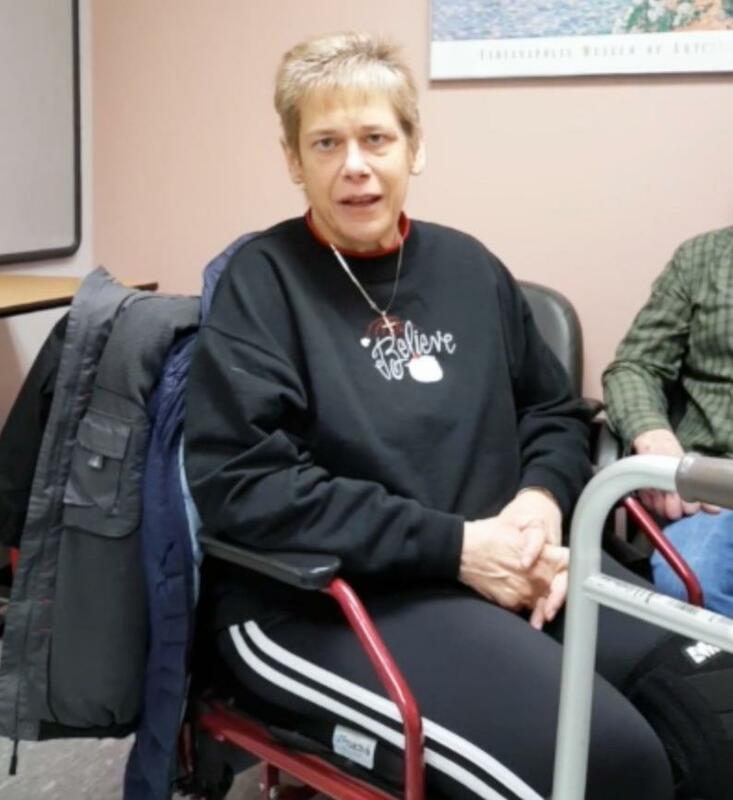 Carol, a spinal cord injured/paralysis survivor, regained some walking abilities after PT. 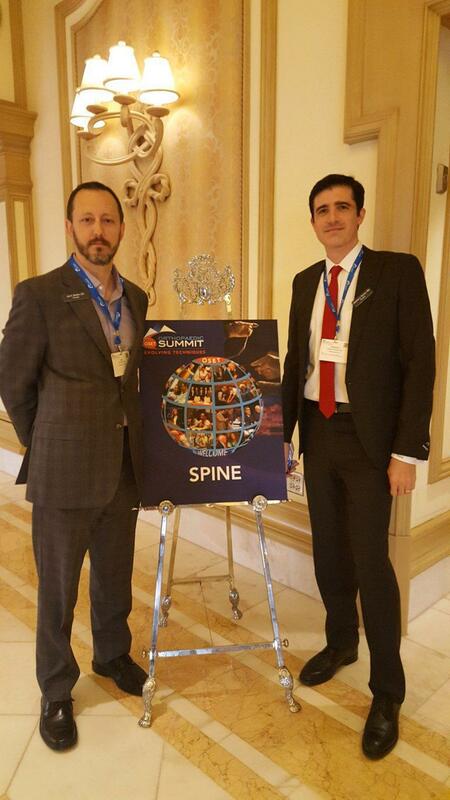 Acetaminophen in the Treatment of Acute Low Back Pain by Gerard Malanga, MD for Spine Universe. Hi, I am recently back from a business trip to Kathmandu. 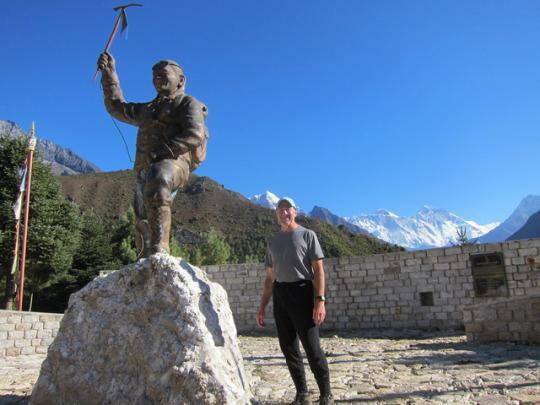 While I was there I had a chance to take 5 days to do a short trek to the Mt Everest region. 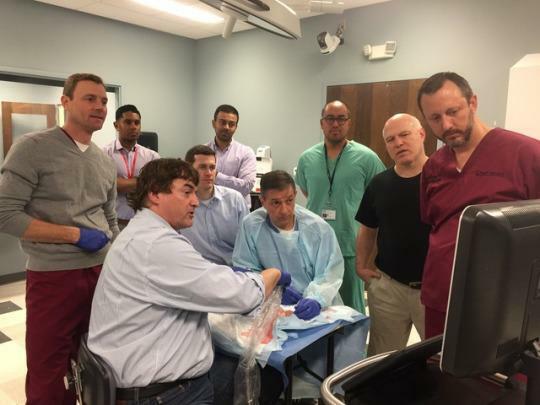 New Jersey Regenerative Institute’s physicians training with Mayo Clinic’s, Dr. Jay Smith, for the SX-ONE Microknife that is the first minimally invasive carpal tunnel release procedure done in the office with only a local anesthetic. 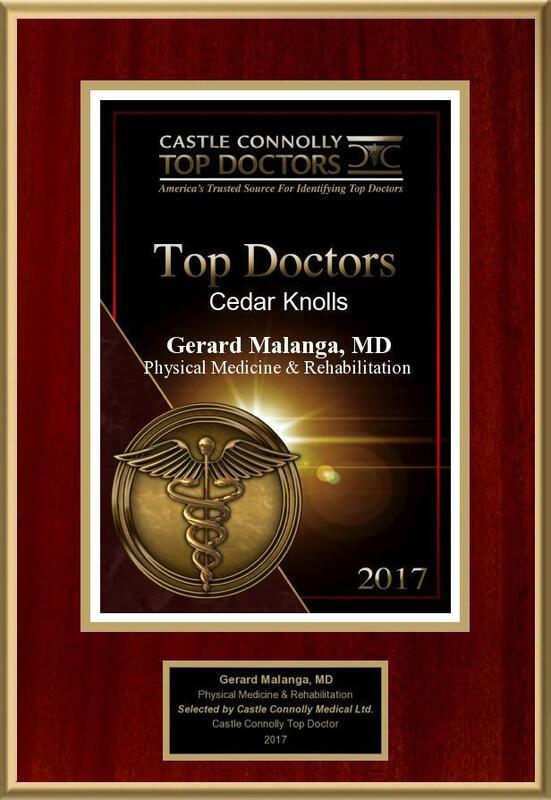 Congrats to Gerard Malanga, MD. 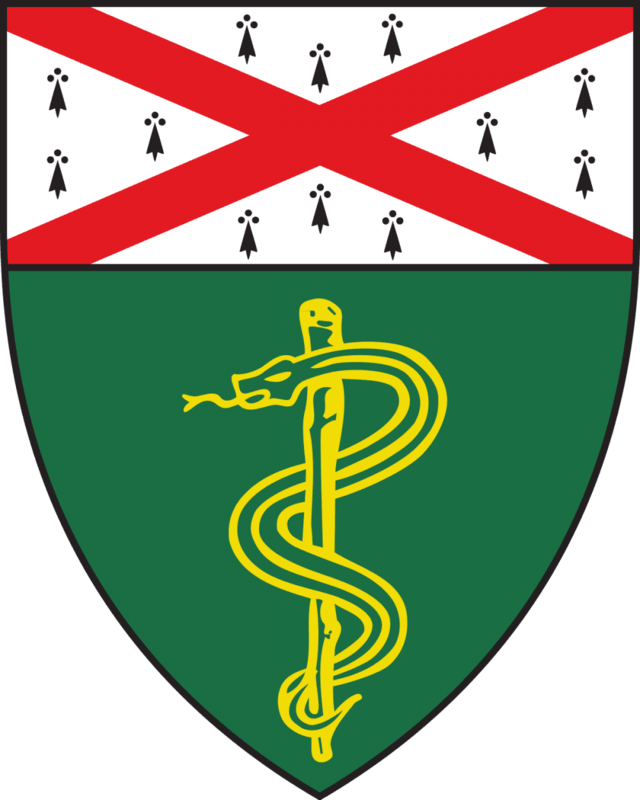 for being one of Castle Connolly Top Doctors of 2017 (since 2004).